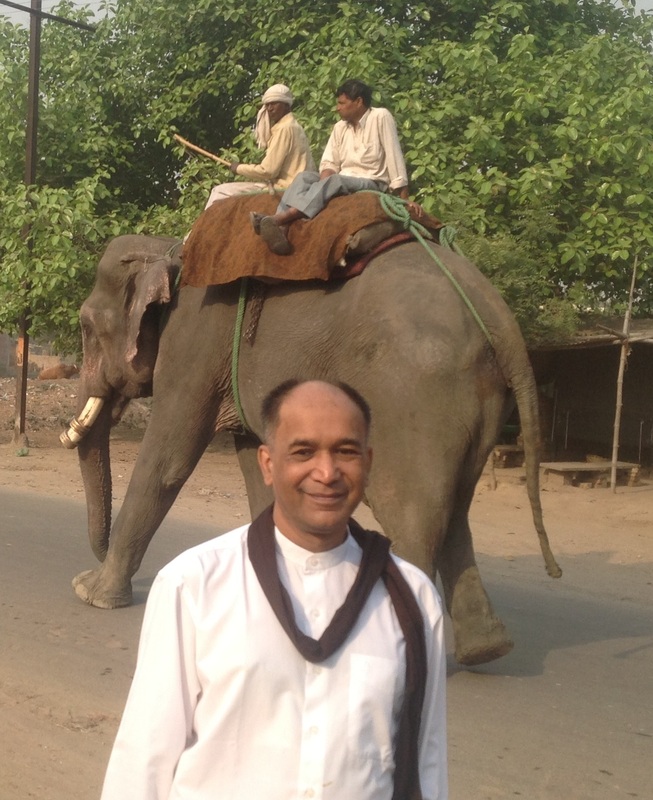 Under the April heat of India, I departed Bodhgaya, hired a taxi for long way trip and continued my journey alone. 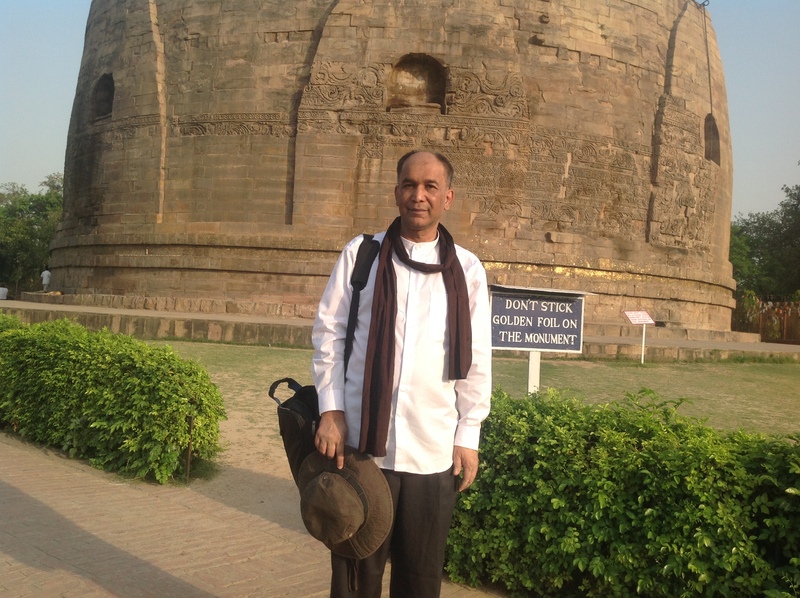 This time my destination was towards Varanasi, and Sarnath (Mrigadavan). 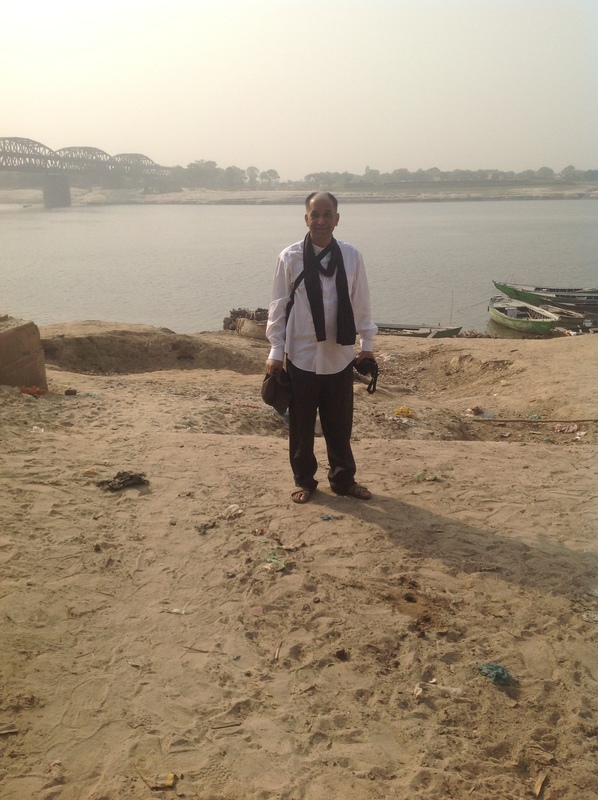 I had been crossed the boundary of Bihar state and entered into Uttrapradesh. Distance about 256 Km and driving time about 4 hrs. 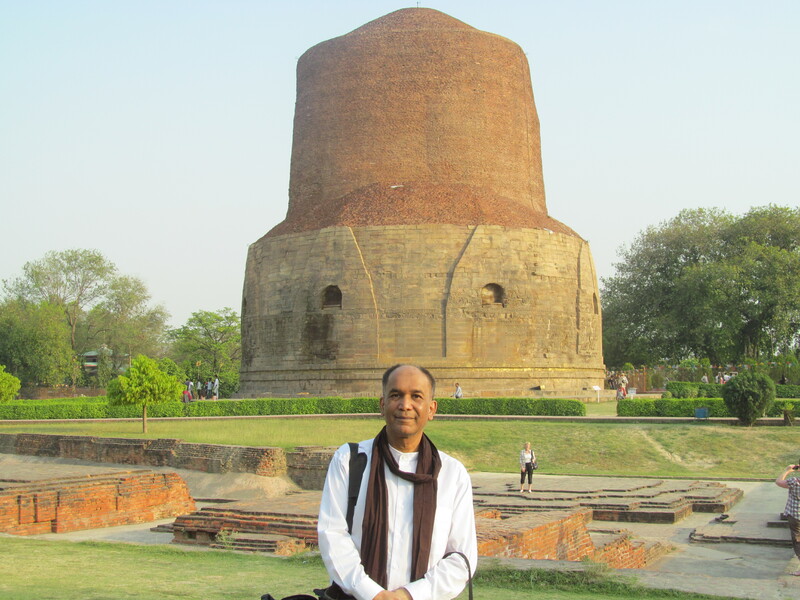 Heading towards Sarnath from Bodhgaya was very significant for me, because once Lord Buddha went this way last 2600 years ago. 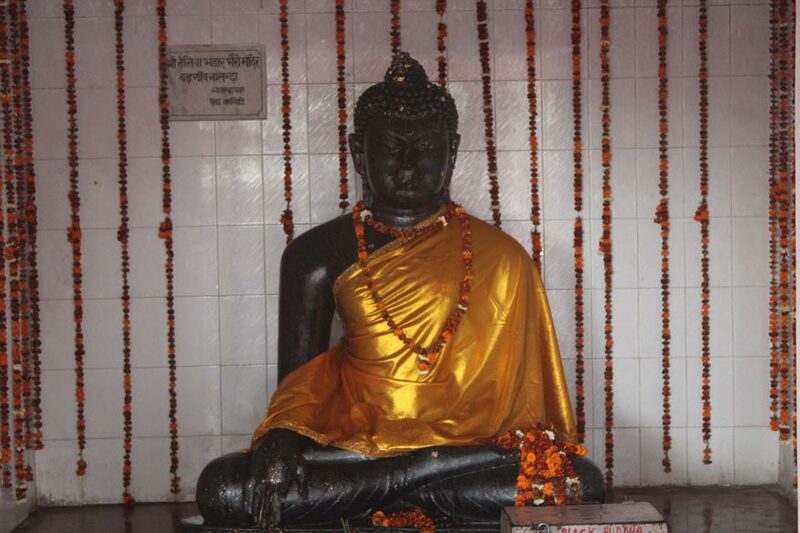 Lord Buddha after enlightened, leave Bodhgaya to Varanasi region, distance about 150 miles, during while had to cross the River Ganges on the way. 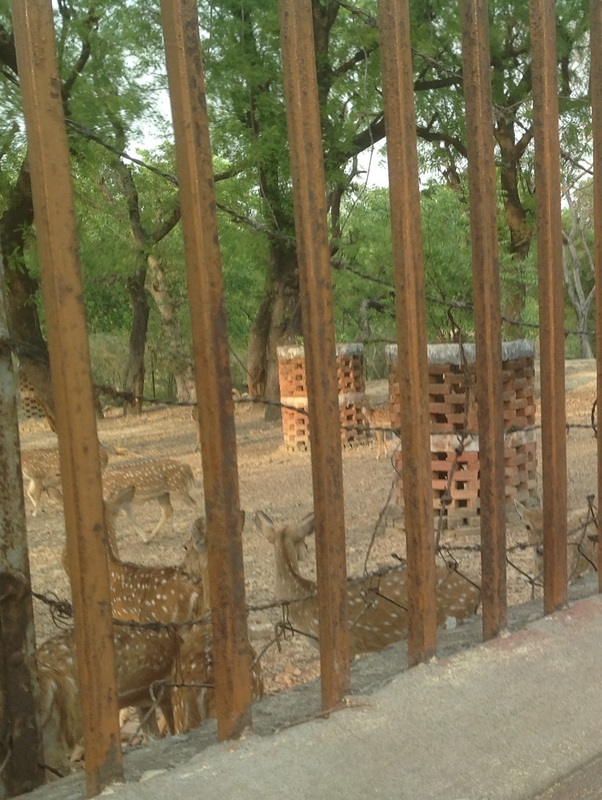 Mrigadavan “deer-park” is 7 miles far from Varanasi (Benares), and also known as Isipatana “the place where holy men (Isi/Rishi) landed”. 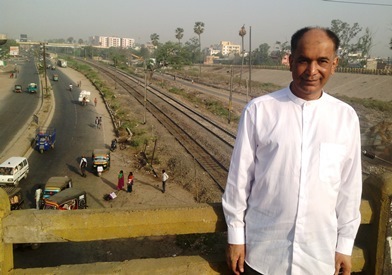 When found his five former disciples (Koudanna, Vappa, Bhaddiya, Mahanama and Asvajita), Lord gave a first sermon (Dhammacakkka-pavattana Sutta “Setting the Wheel of Dhamma in Motion”) on the full-moon day of Vassa (Asalha Puja or Dhamma Day), explained the middle way which avoids extremes, the 4 Noble Truths, and prescribed the 8 fold path, which 5 ascetics understand quickly and became enlightened. Then the Sangha (community of Buddhist monks) was founded for the first time. 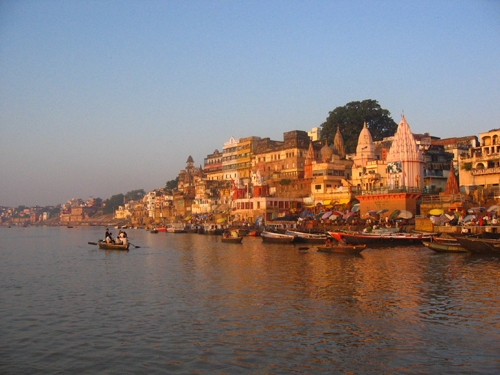 Varanasi (Benares, Banaras) often referred to as “city of temples”, “holy city of India”, “city of shiva”, and “city of learning”. It was known as Kashi (Kasi) during the time of Lord Buddha. 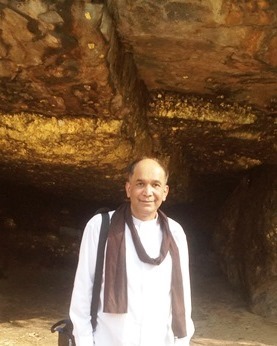 In ancient times, Varanasi was connected by a road starting from Taxila (now in Pakistan) and ending at Pataliputra (now Patna) during the Mauryan Empire. One of the holiest of seven sacred cities (Sapta Puri) and played an important role in the development of Buddhism, Varanasi has been a cultural center of North India for several thousand years, and has a history that is older than most of the major world religions. Culture of Varanasi is associated with Ganges (Ganga river) which is the most sacred river to Hindus and also a lifeline to millions of Indians who live along its course and depend on it for their daily needs. 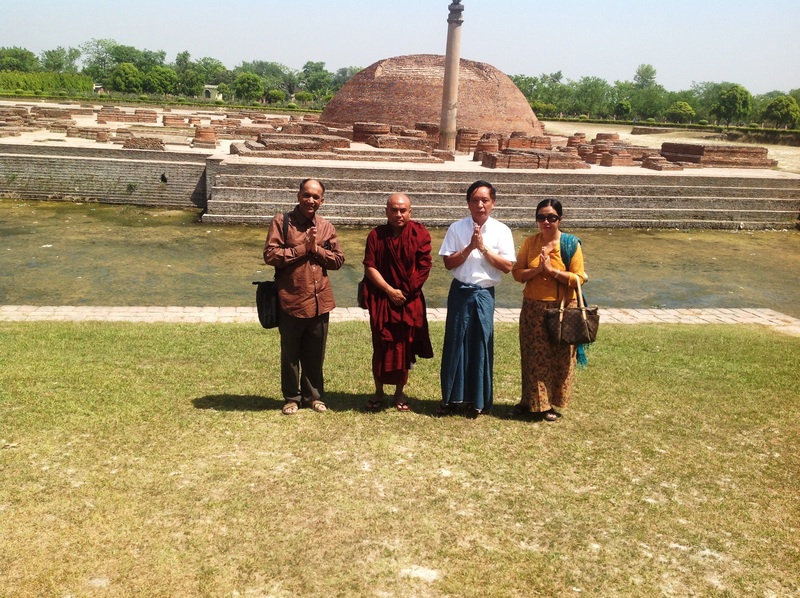 At Sarnath (Mrigadavan) near the Dhamek Stupa, I met with Dr Kyaw Nyein and Dr Ohmma unexpectedly. We were also unknowingly staying in the same place, Mrigadavan Myanmar Monastery. It was a heart warming moment, when all of a sudden get together with close friends like their couple coincidentally in so far and sacred place like Mrigadavan. We were having dinner together and enjoyed some chit chat. 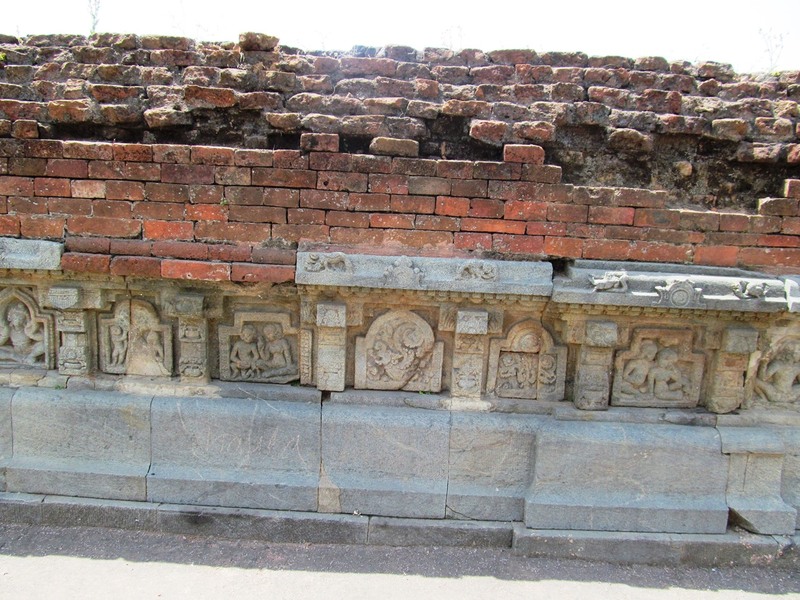 When I was there, new archaeological excavation is going on at Apsidal Chaitya, adjacent to Mula Ghanda Kuti, and Dhamekh Stupa, some finger marked bricks and earthen roof tiles were scooped out. 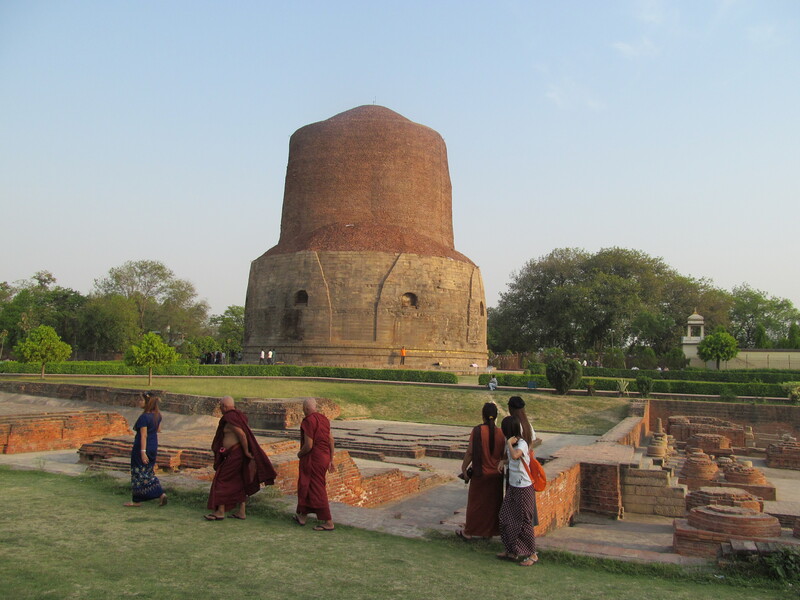 Sarnath was no doubt that became as the significant centre of Buddhism in 3rd century BC, but expecting to find some material evidences of the earlier date, since its importance in the time of Lord Buddha or probably earlier. 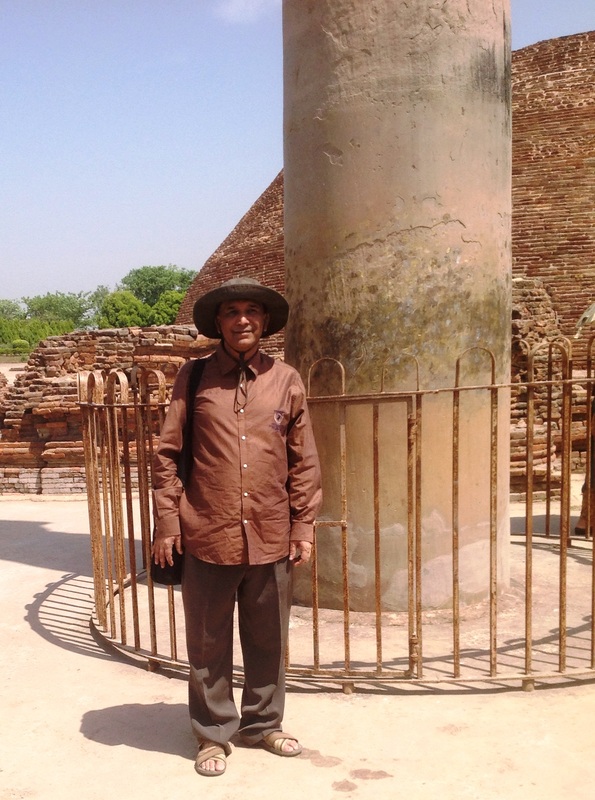 FINGER MARKED BRICKS were one of the material features of spreading Buddhist culture in ancient time from India through Myanmar to Thailand. 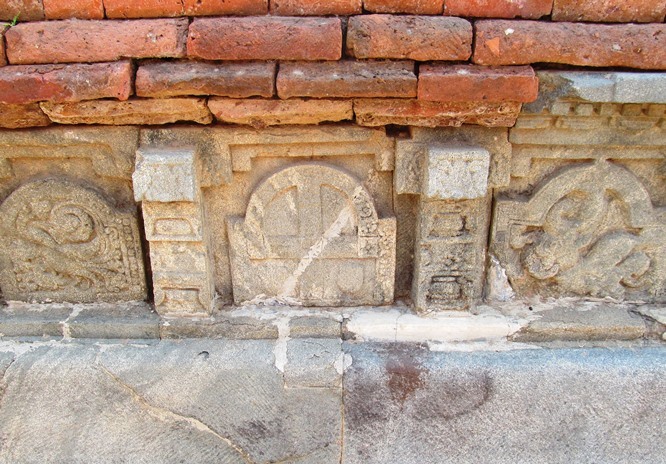 All ancient Pyu cities had built by these and used up to early Bagan period. 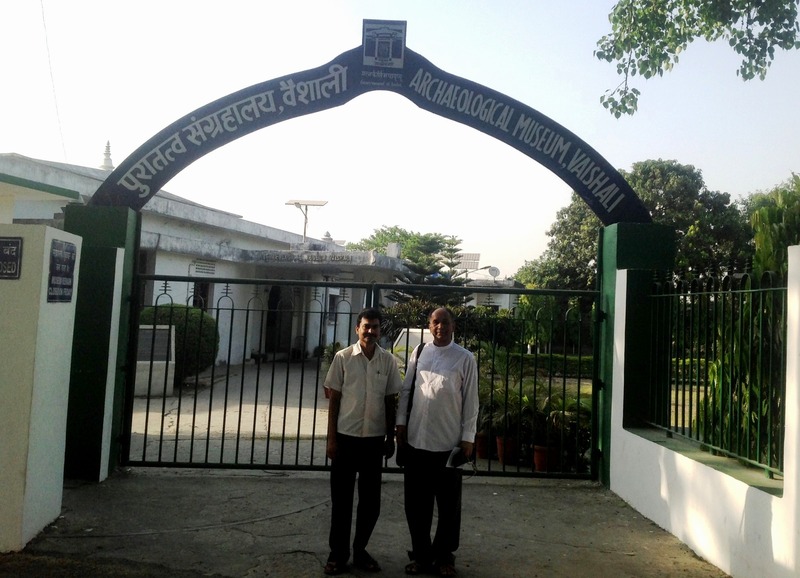 This is the oldest site museum of the Archaeological Survey of India. Completed in 1910 to house, display and study the antiquities datable from 3rd century BC to 12th century AD. The building forms half of a monastery (Sangharama) in plan. 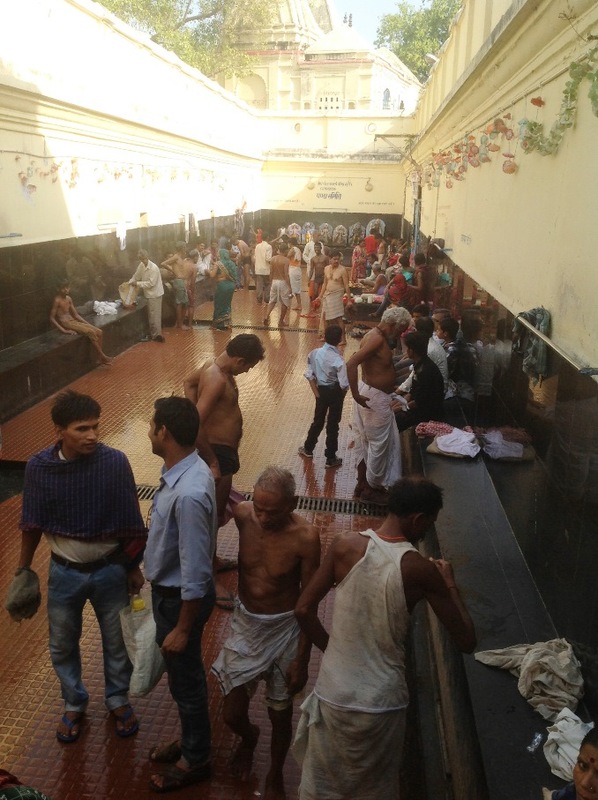 There are five galleries and two verandahs. 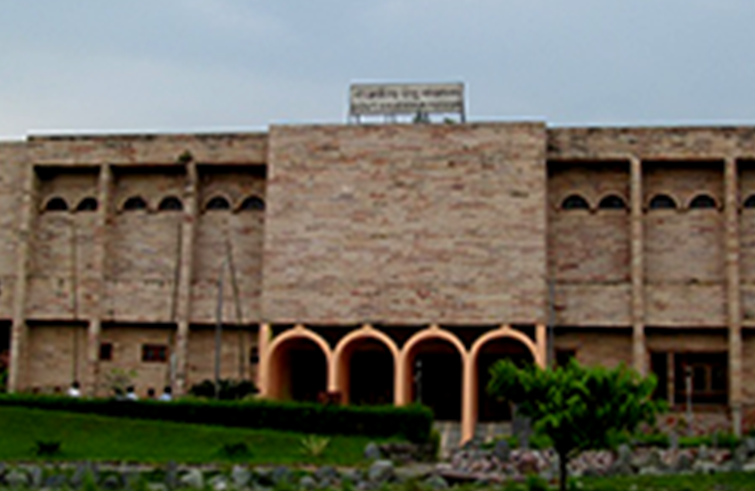 The Shakyasimha gallery displays the most prized collections of the museum. 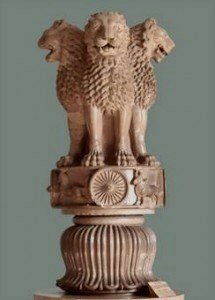 In the centre is the Lion Capital of the Mauryan Pillar which has become the National Emblem of India. 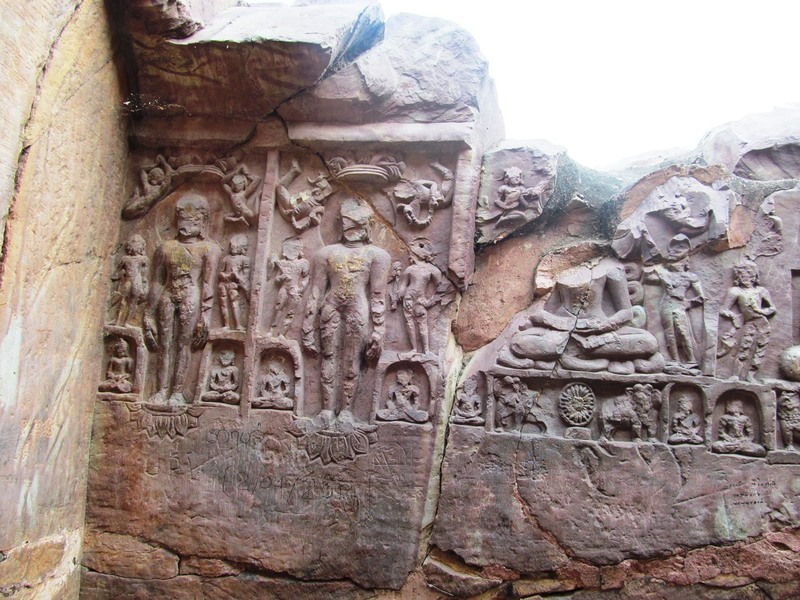 Apart from the images of Buddha in different posture and Tara, the inscribed colossal standing images of Bodhisattva in red sand stone, octagonal shaft, umbrella are also exhibited. 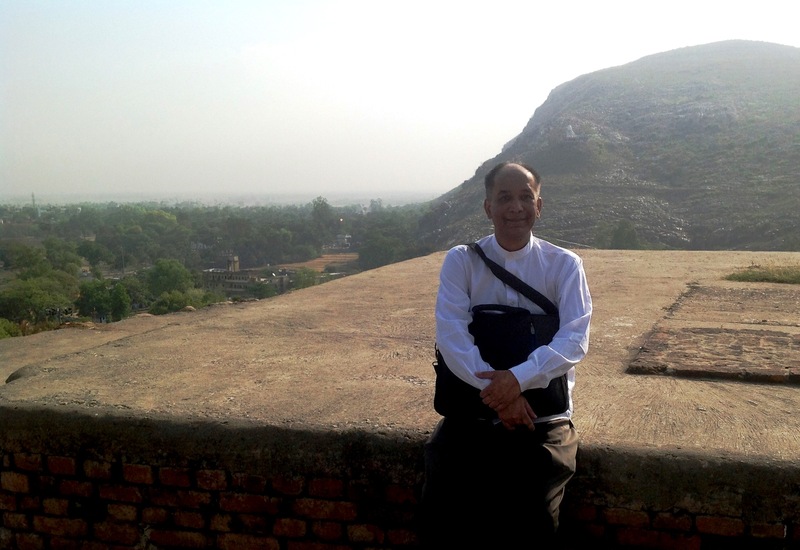 To marked where Lord Buddha first met again with his former 5 disciples, built originally as a terraced temple in 4th to 6th century during the Gupta period. 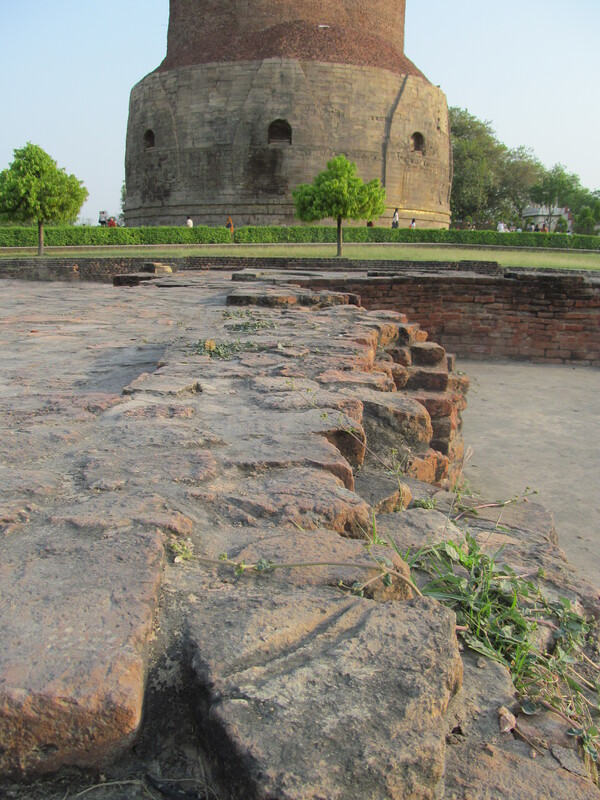 It is a brick structure crowned with an octagonal tower, which was added to the structure during the reign of the Mughal Emperor Akbar in 1588. 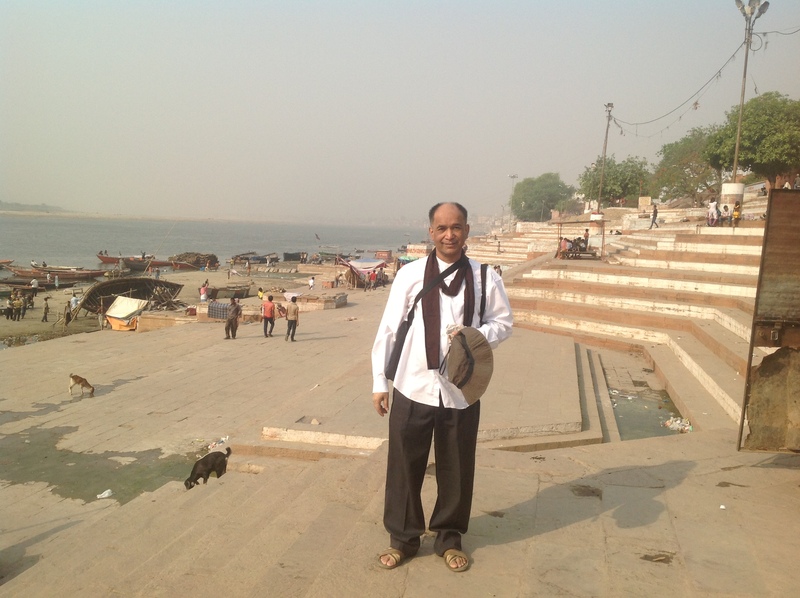 After staying 2 nights and 3 days at Sarnath, Varanasi I had been continued my way forward carried by my taxi driver. 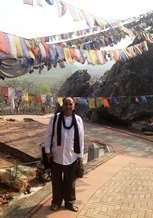 Through rural, suburban and urban life of India along the highway, my next destination was Kusinagar (Ku-Thi-Na-Yone) where Lord Buddha had taken up Mahaprinirvana. 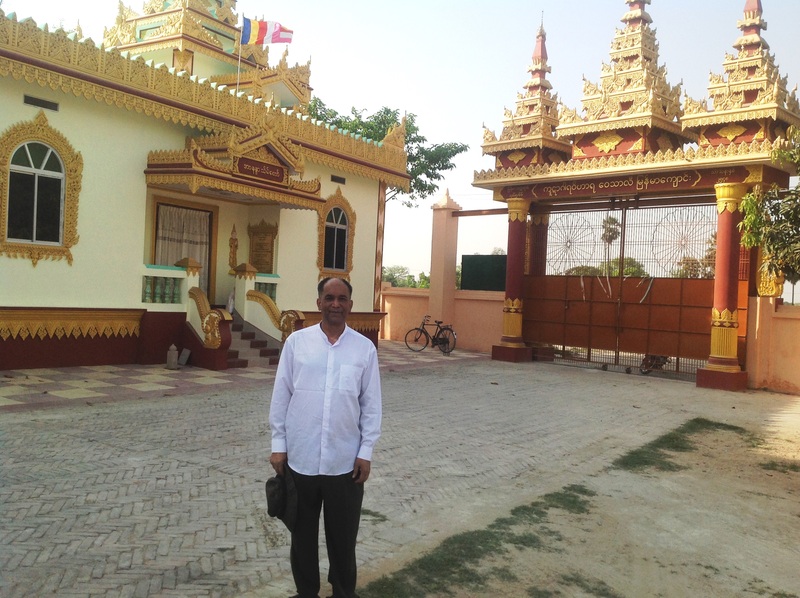 I stayed 2 nights 3 days in Kushinagar Myanmar Buddhist Vihara. Here, the Chief Abbot Sayadaw Mahawira, with donation from Rakhine Merchant U Kyi Zayi (Khee Zarhee) of Calcutta, purchased a plot of land and built the first Myanmar Buddhist Vihara in 1900. Sayadaw passed away in 1920 at the age of 85, and succeeded by Venerable U Chandramani, who expanded many buildings mostly in late 1950s. Successor Sayadaw U Nyaneinda expanded more structures mainly rest houses for pilgrims, a new Ordination Hall, and Chanthargyi Ceti – a replica of Shwedagon Pagoda of Yangon. When the Buddha reached his 80th year, felt that his days in this world were coming to an end. 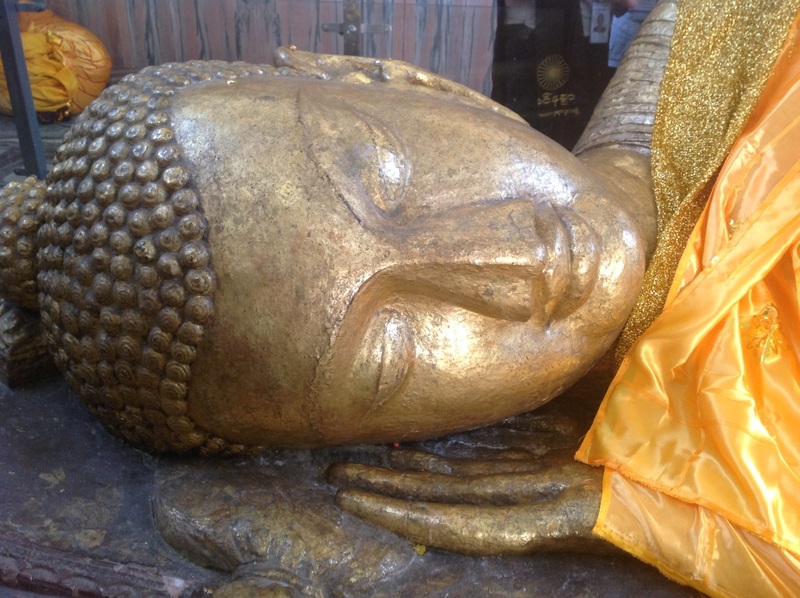 The last meal offered to Lord Buddha was prepared by Cunda, the goldsmith. According to some scholars the meaning of sukara-maddava “pig’s delight” probably is black mushroom, truffle, a yam or tuber. So “pork/boar meat” may not appropriate. After the meal Lord Buddha suffered sickness, dysentery, sharp and deadly pains but endured them mindfully and unperturbed. Lord said “Come, Ananda, let’s go to Kusinagara” because he had already chosen that simple small place to be his final departure site. Buddha also told Ananda for Cunda, not to have any remorse because there were 2 equally important meals which had been offered to him: one before Enlightenment and another before Parinirvana. After long journey with many disciple monks, Lord Buddha reached to Sala Grove of Mallas princes, in Kusinagara, and asked Ananda to prepare a couch, head to the north, for him, between twin Sala trees. There Lord Buddha preached a wandering ascetic Sabhadda as his last disciple, about the Noble 8 folds Path. Finally Lord Buddha addressed to all the monks: “Behold now, Bikkhus: all conditioned things are of a nature to decay. Strive on with earnestness.” These the last words of the Lord. 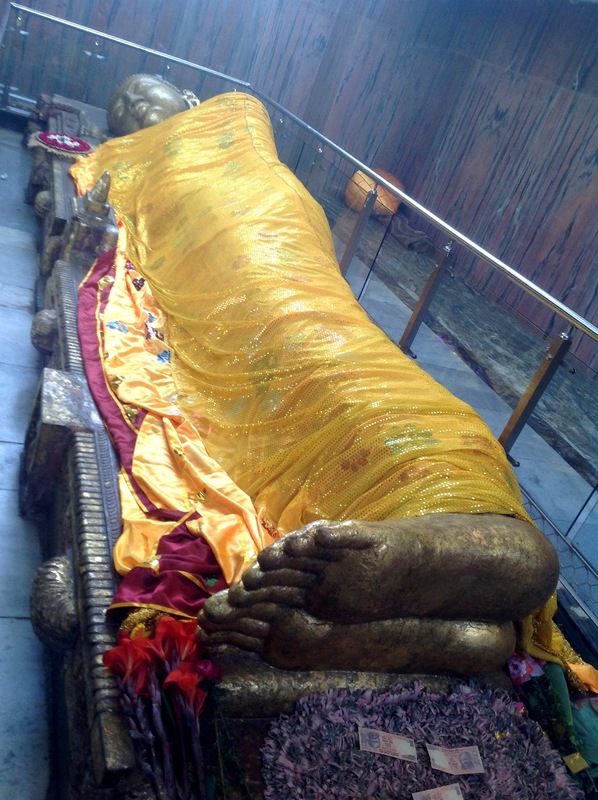 There are a stupa and a temple with great reclining figure of Lord Buddha built to commemorate Mahaprinirvana. who tallies my positive karma against the adverse? And when will he declare the result? yet not known to me. 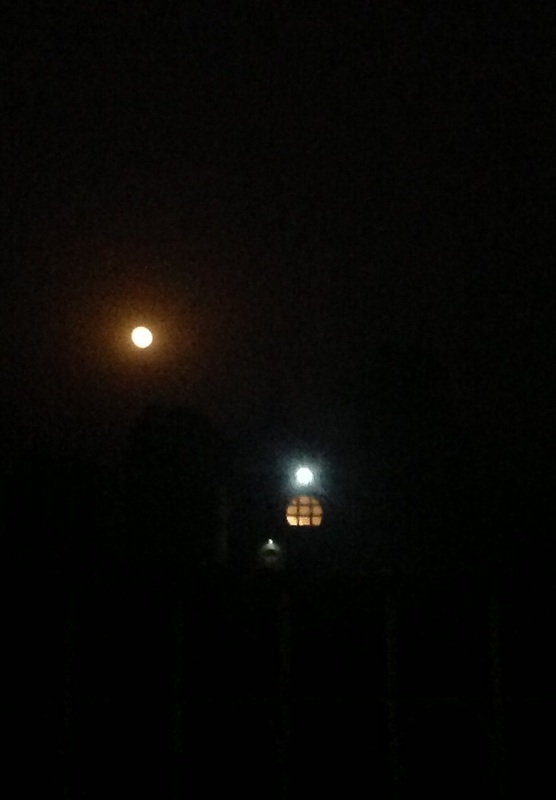 constantly watches over and provokes to mind our deeds. that we go through life after life. in order to be released from the endless cycle of birth and rebirth. 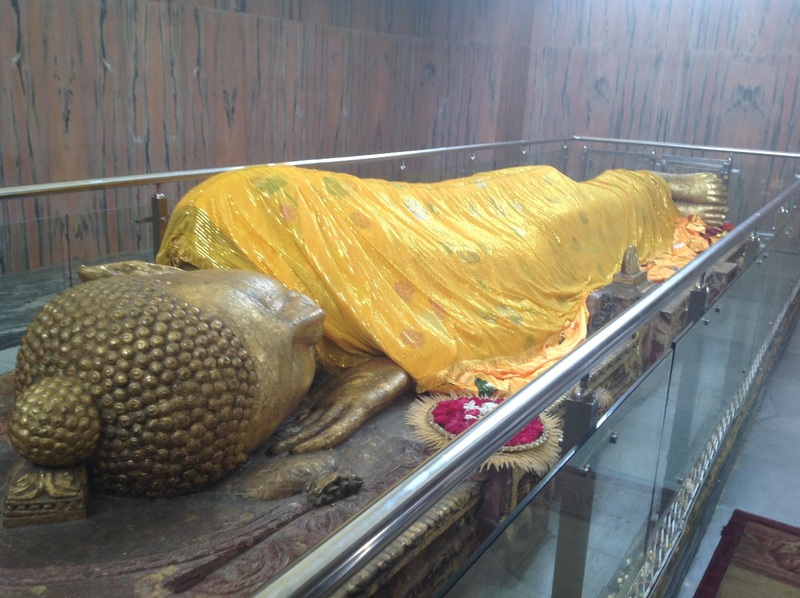 After Mahaprinirvana, body of the Lord Buddha was laid in state for 6 days for tribute. On the 7th day, it was taken to the banks of the river Hiranyavati, near Mukuta-bandhana Chaitya, the sacred shrine of the Mallas. Last ceremony was performed by Ashin Maha Kasapa who reached there in time and the body of the Lord Buddha was cremated with due honour. After the cremation the ashes were collected by the Mallas as relics, which consisted of a skull bone, teeth and inner and outer shrouds. Then the relics were distributed into 8 shares amongst other 8 Kingdoms of ancient northern India, by Brahman Doha. 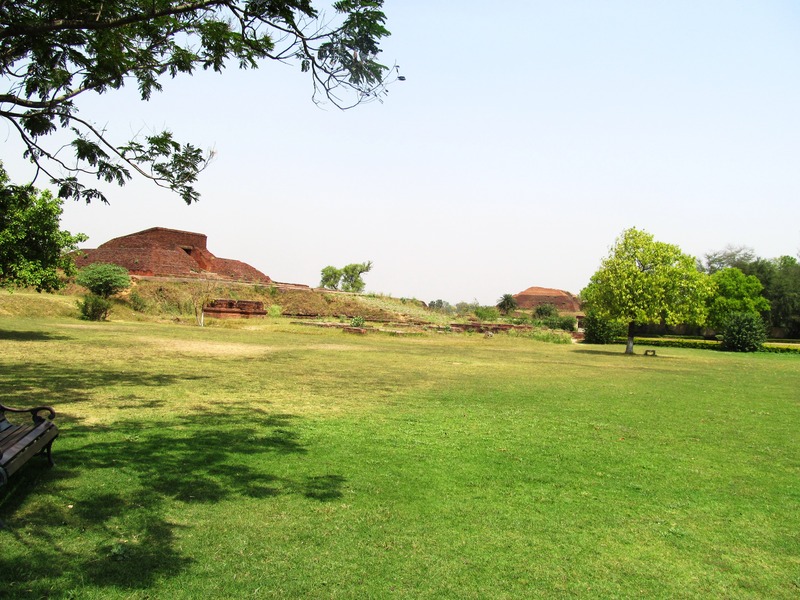 These relics were again subdivided when King Asoka decided to build 84,000 stupas in 3rd Century B.C. 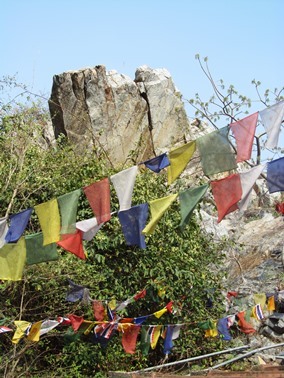 Today these are enshrined in stupas throughout the Asia. 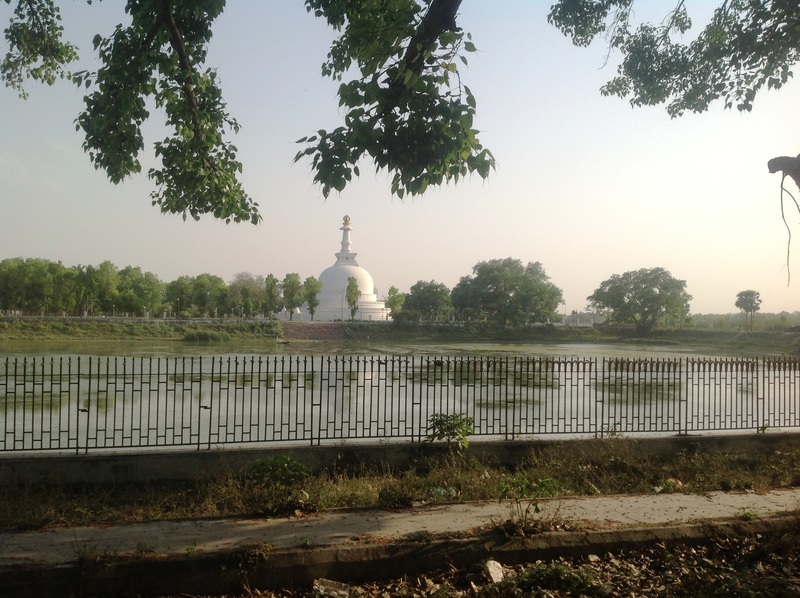 Despite a bit hot weather in Kushinagar afternoon, I walk alone under the sunshine to a shrine which is about 200 meters southwest of the Mahaprinirvana Temple compound, proceeding along the main road. 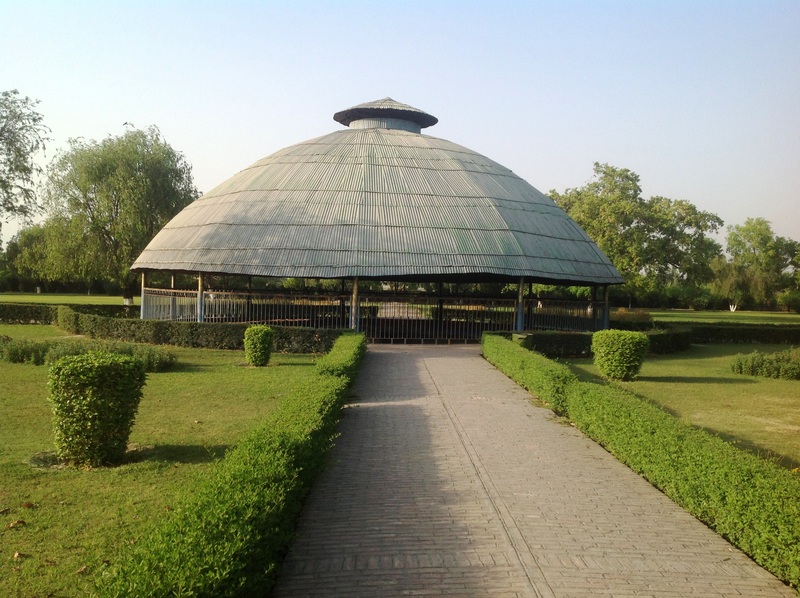 It is the Matha-kaur Shrine, where a very gracious looking colossal statue of the Lord Buddha is installed. 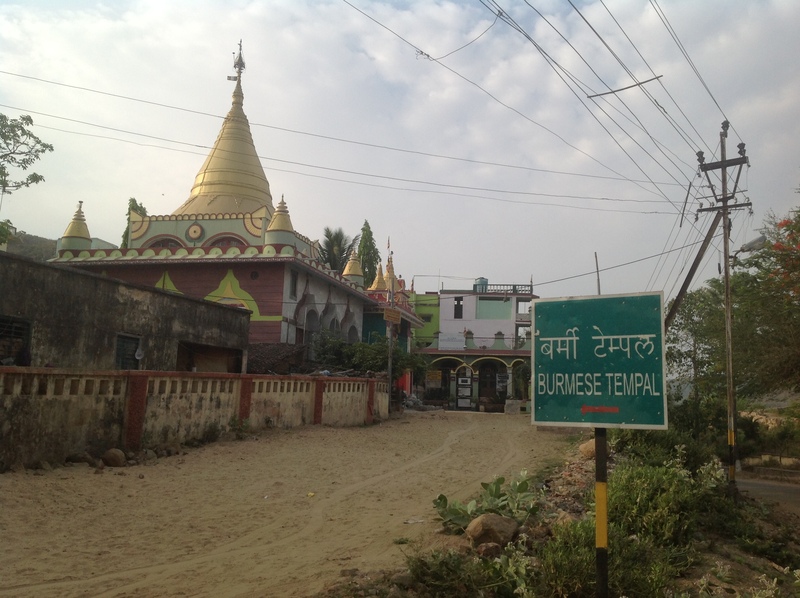 According to the local believe this place is an actual site where the Lord Buddha was departed the material world. 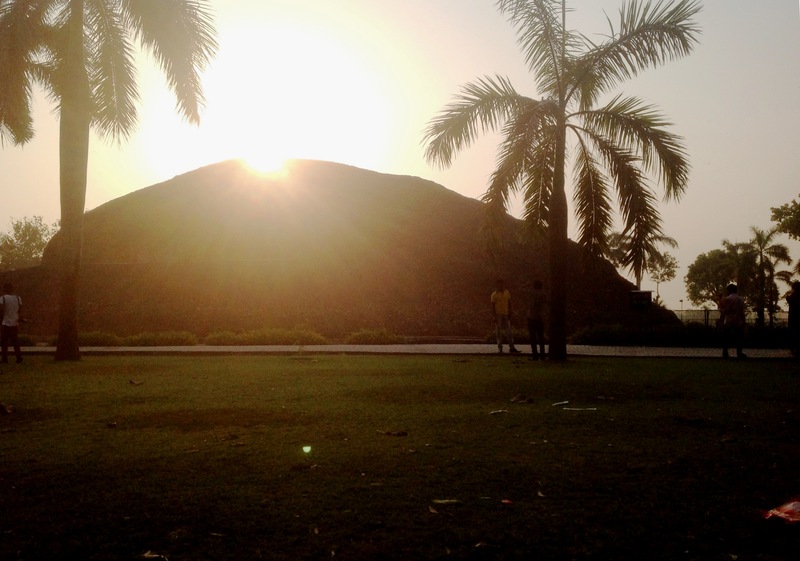 The name of the stupa denotes “dead prince”. Archaeologist Carlleyle found the statue in late 1870s, as broken pieces, and being restored. Existing shrine was built by Myanmar pilgrims in 1927. 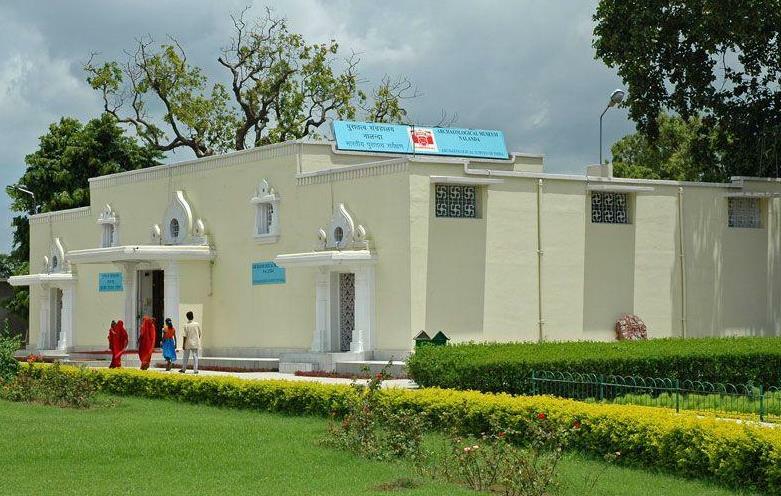 Existed since 1992-93, many archaeological discoveries and antiquities found in Kushinagar are exhibited here, such as coins, statues, sculptures, architectural remains, terracotta, bronze & clay seals. 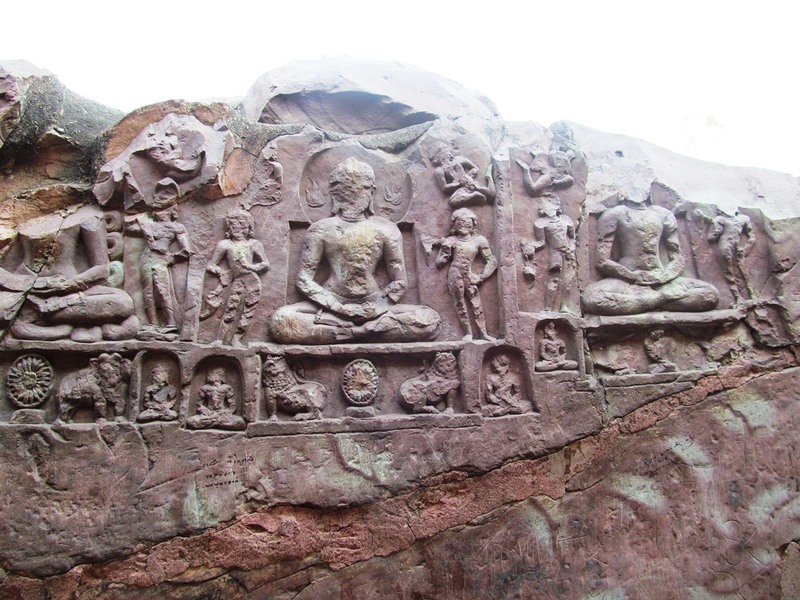 Statues depicting various events of life of Lord Buddha represent Gandhara and Mathura School of Art. 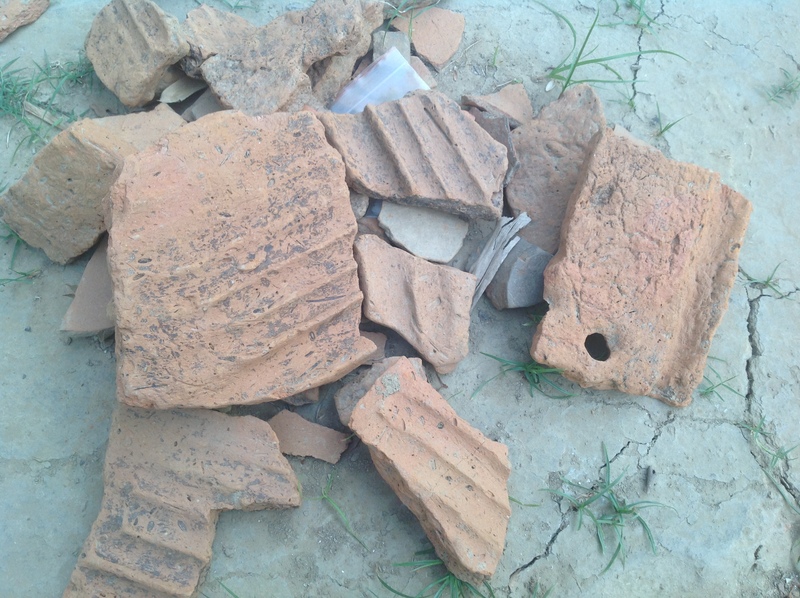 Decorated bricks excavated from Kushinagar area, are of particular interest. Some Tibetan banner paintings (Thangkas), Hindu & Jain antiquities are also on display. Perfect destination for the History and Art lovers. Photography is prohibited inside. 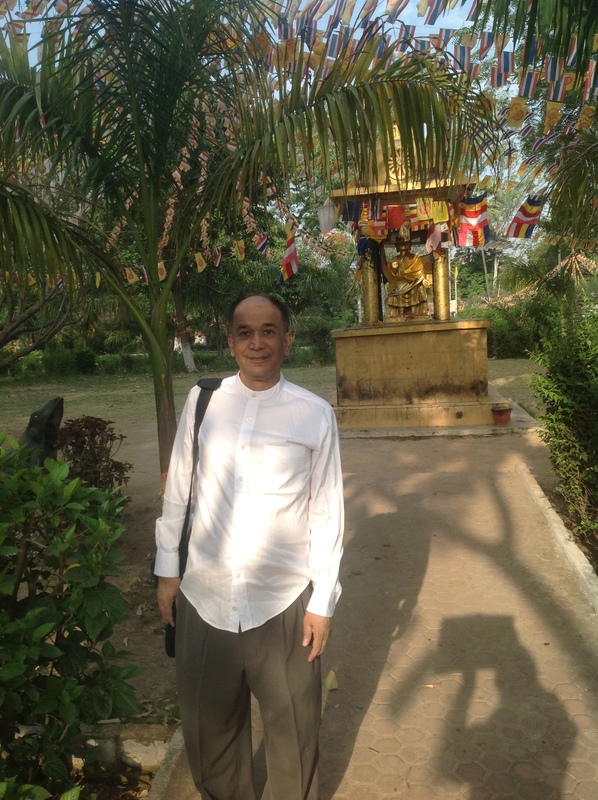 Other interesting places are Wat Thai temple, Lin Sun Chinese temple, and Japanese-Sri Lankan temple. 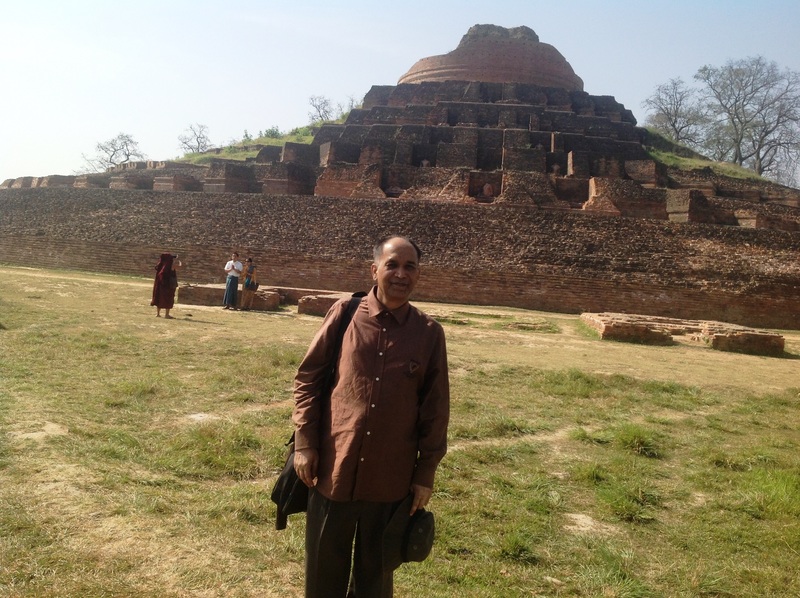 After staying 2 nights and 3 days at Kushinagar, having wonderful feelings and experiences I continued my long journey under the bright sunshine of April summer, heading toward Vaishali. 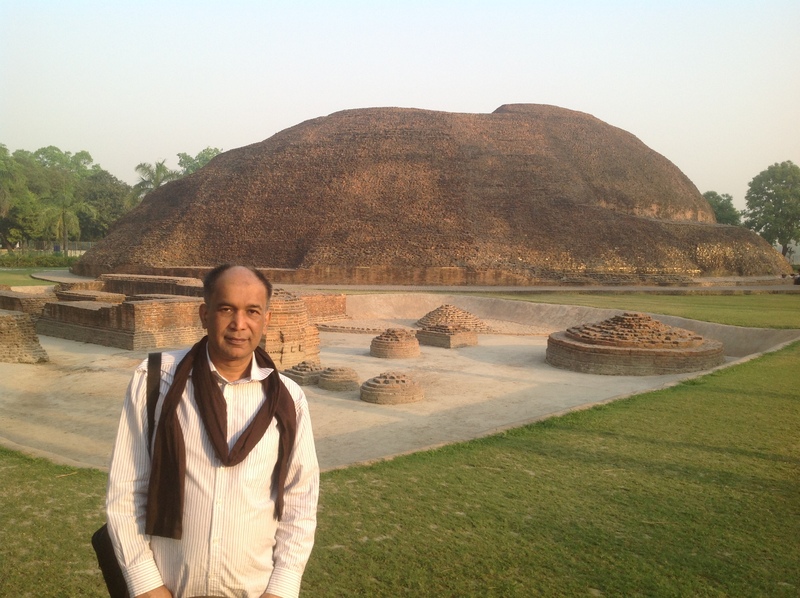 From Uttrapradesh, I entered again into Bihar State and on the way there is an astounding monumental Kesariya Stupa, just beside the highway. It is one of, if not the largest stupa in India, with a circumference of almost 1400 feet and raises to a height of about 104 feet. Probably the original height was about 150, remained at present height by natural (earthquakes) and men-made disasters. 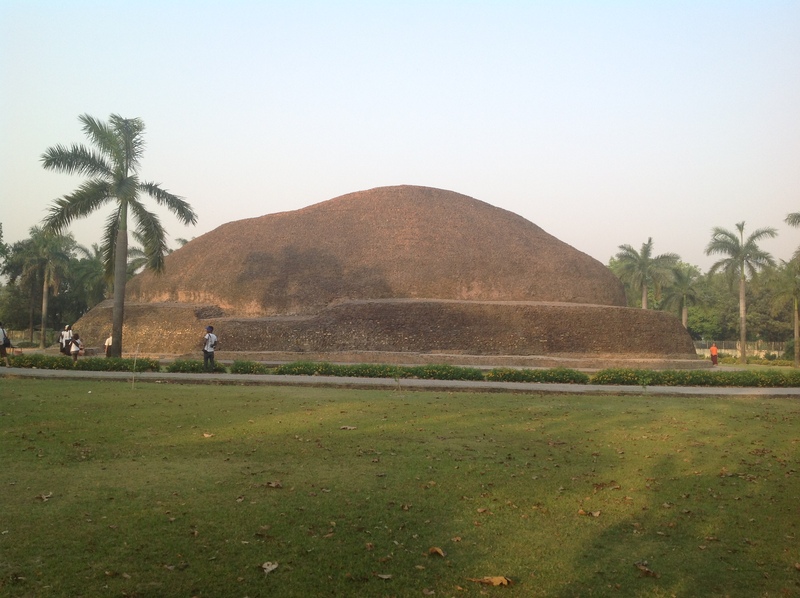 This stupa was built to honour the place where Lord Buddha had spent a few time on his last journey towards Kushinagar for attaining Mahaprinirvana. As the Lichhivis princes of Vaishali who want to follow him till last moment, Lord Buddha handed over his bowl for alms and requested them to go back. 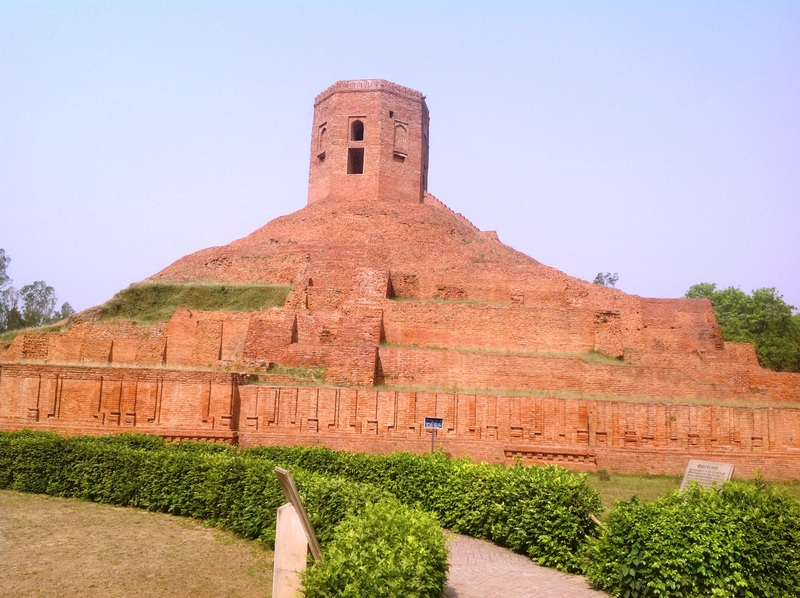 Lichhivis built this stupa with a relic chamber for Lord Buddha’s bowl for alms. From a mud stupa, it gained its present structure in the successive rebuilding in Maurya (King Asoka), Sunga and Kushana periods. 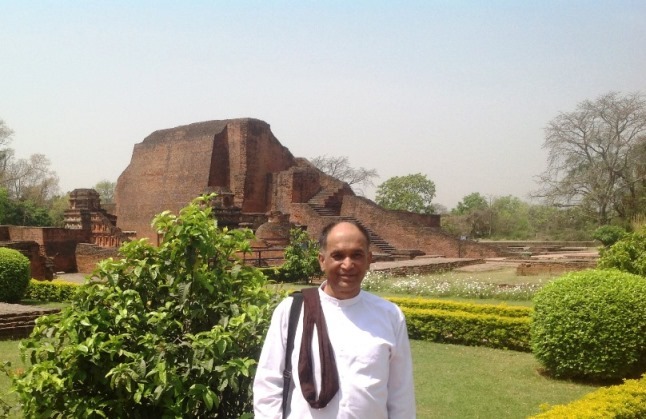 Another interesting point is that, the Lord Buddha once stayed in Kesariya “Kesaputta” and preached Kesaputtiya Suttas, which include Kalama Sutta, a principle of critical thinking and scientific approach. 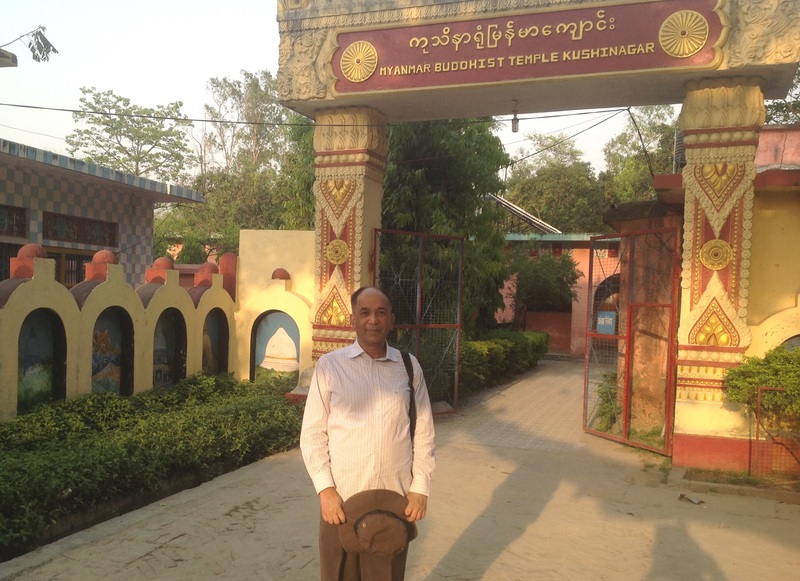 In Vaishali I stayed in Myanmar monastery, hospitality of which was really warm and remarkable. 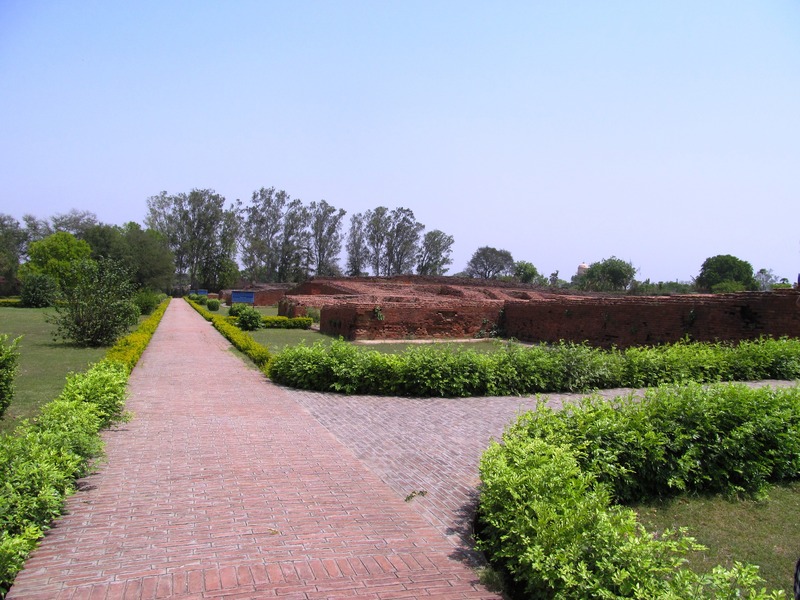 Vaishali the City of Licchavi was considered an example of ancient democratic tribal confederate republic (Gaṇa Sangha), around 6 century BC. They had 7707 representative princes (Ganarajas) who met each year to elect one as the ruler and a council of nine to assist him. There was a tank used for Abhiṣeka (coronation). Its courtesan, Amrapali, was renowned for her beauty. 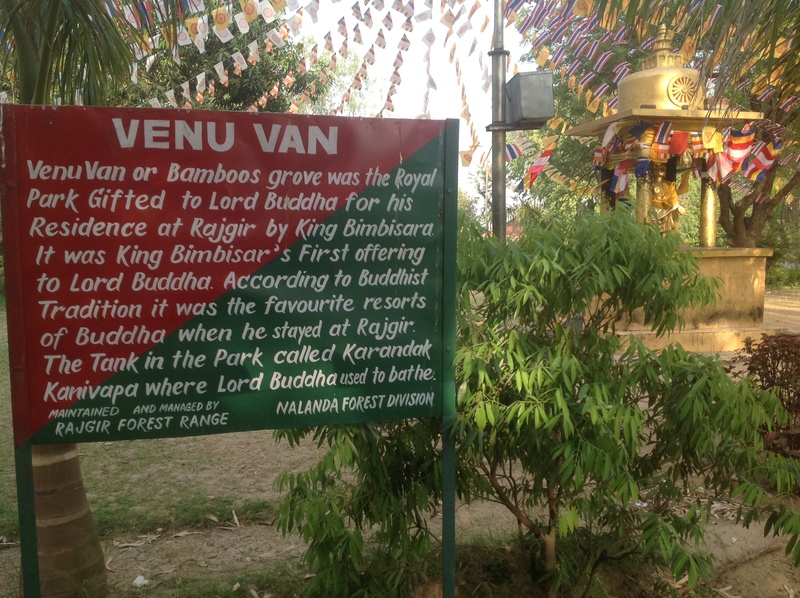 Lord Buddha had visited Vaishali on many occasions. Lichhavis were famous for their unity. The city had 3 walls, and at 3 places in the walls were gates with watch towers. King Ajatasatru (Azarta-That) with the help of his minister Vassakara, managed to split Licchavis and also broke the chaityas (alters) inside. He fought a terrible war against Lichhavis and finally conquered. 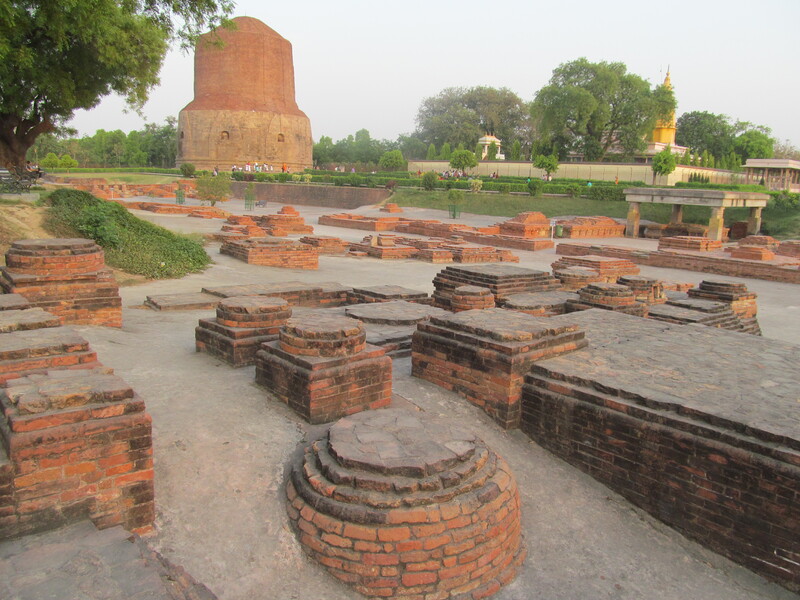 Second Buddhist council was convened here in 383 BC by King Kalasoka, making it an important place for Buddhist. 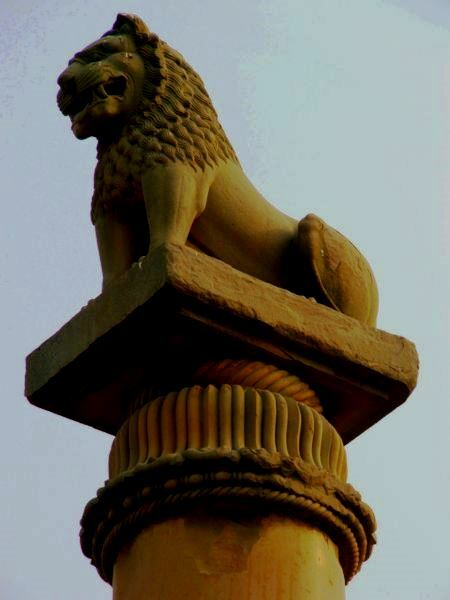 There is the Ananda Stupa, with best-preserved of the Pillars of Asoka, topped by a single lion. 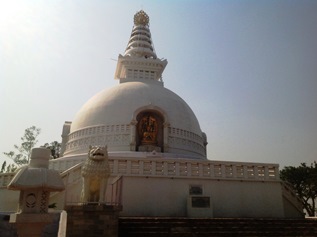 A dome shaded stupa where in 5th century BC, Licchavis reverently encased one of the 8th portions of Lord Buddha’s relics, which they received from distribution of Brahman Drona. 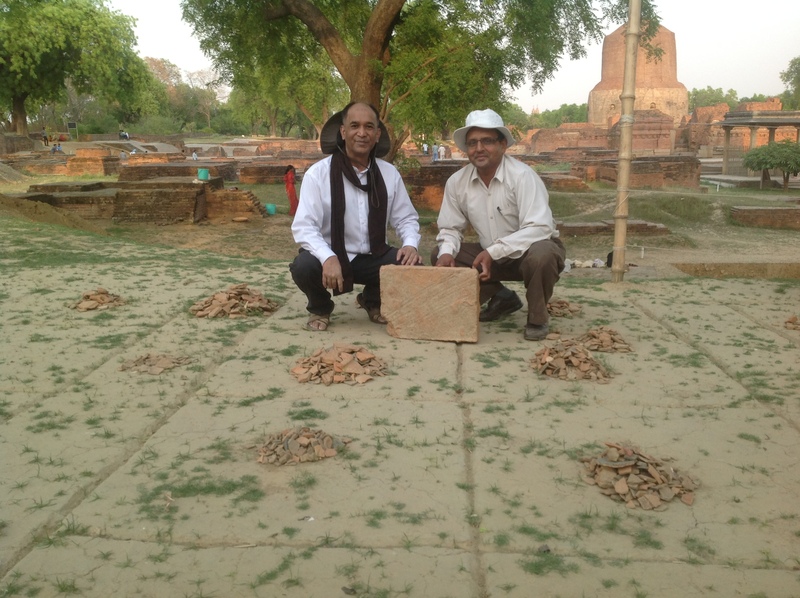 A casket was excavated here in 1958-62, containing ashes of Lord Buddha mixed with earth, a piece of conch, beads, a thin gold leaf, and a copper punch marked coin. Next to Abhishek Pushkarni pond which was once holy to Lichchhavis, stands the Japanese temple and the World Peace Pagoda. 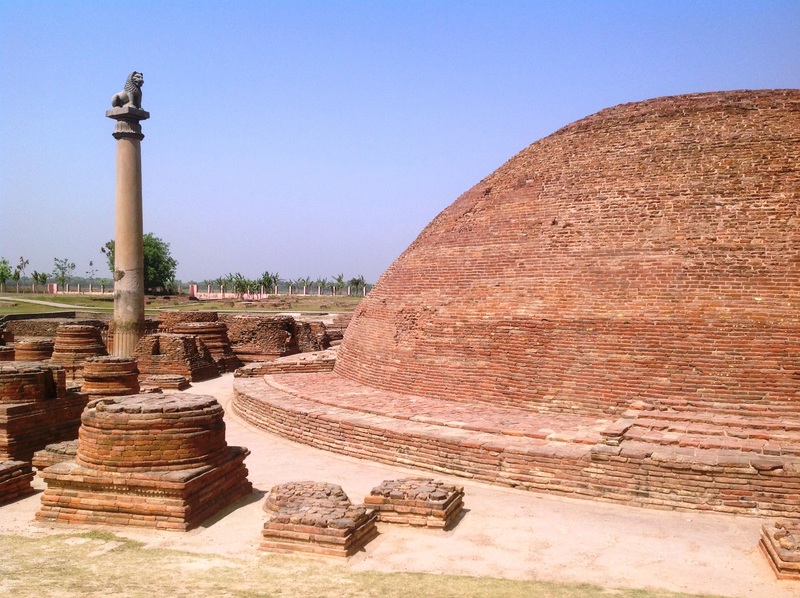 Some Buddha’s relics found in Vaishali have been enshrined in the foundation and in the umbrella of this Stupa. 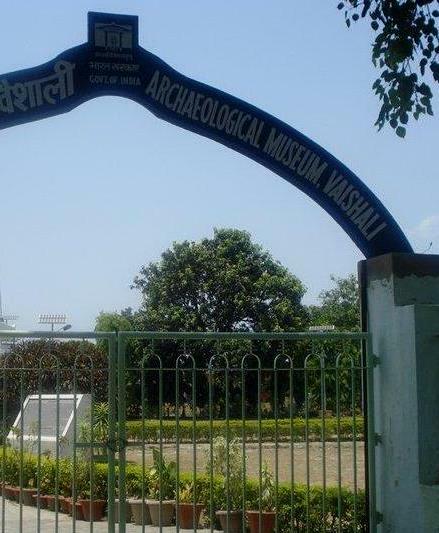 It was set up in 1971 to preserve the antiquities found in and around Vaishali area. 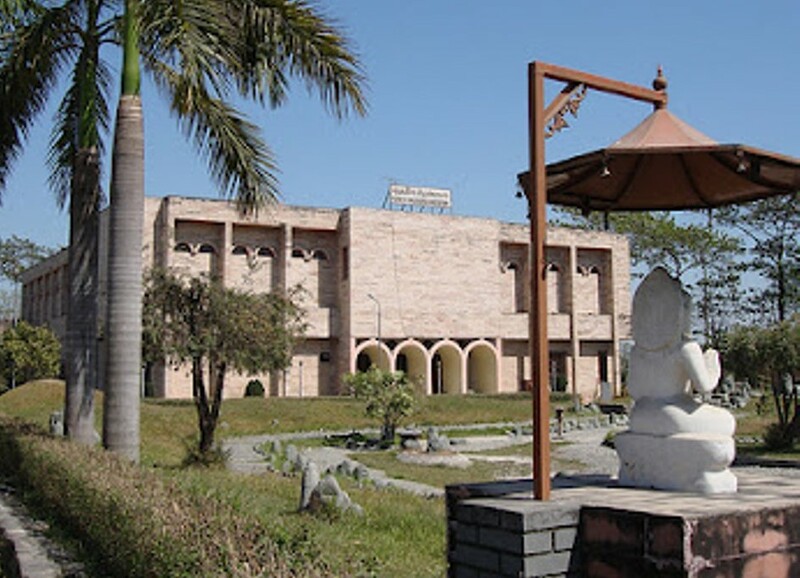 It has 4 galleries, displayed terracotta figurines, mother and child, plaque of Buddha, Bodhisattva and a female figure. Others are moulded bricks and brick tiles, terracotta figurines of animals, seals, wheel, rattle, dabber, beads, copper punch marked and cast coins, etc. 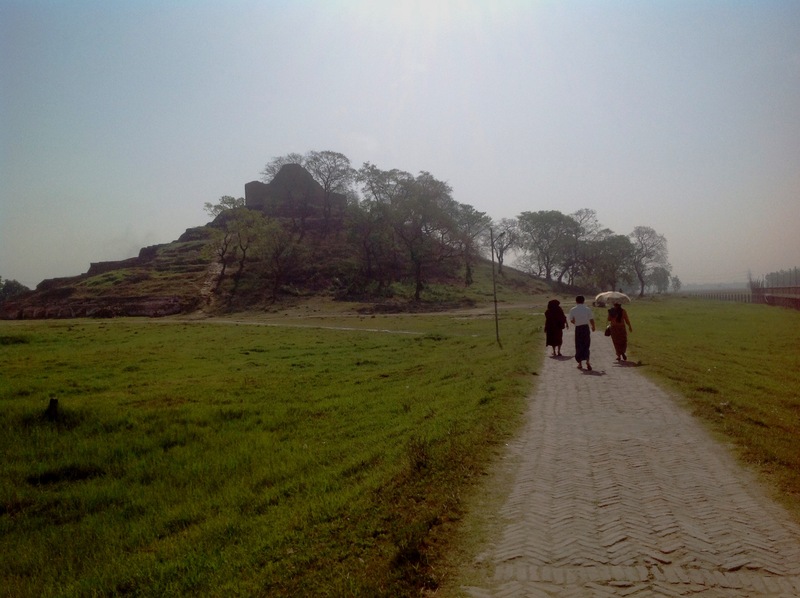 Pataliputra, adjacent to Patna, was an ancient city, built by Magadha ruler Ajatasatru (Azar-Ta-That) in 490 BCE, who wanted to shift his capital from the hilly Rajgriha (Yar-Za-Gyo) to a more strategic place to combat Lichivis of Vaishali. 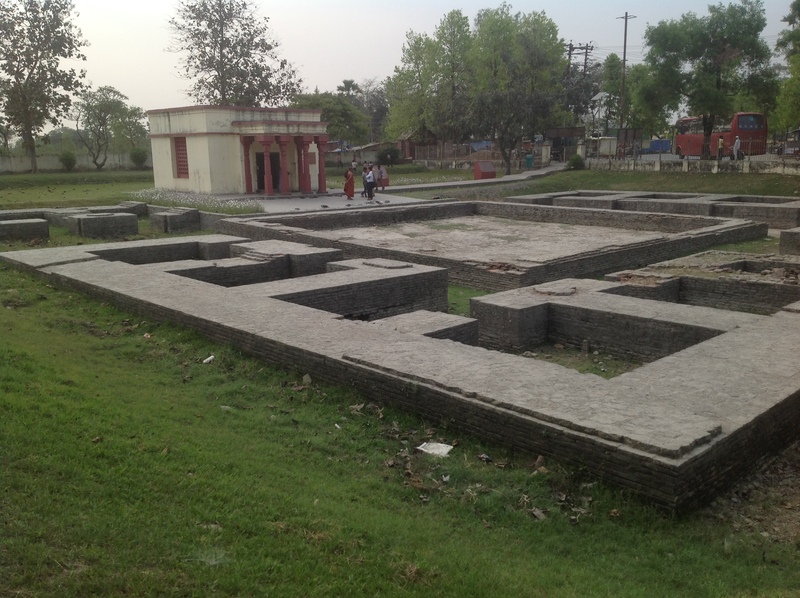 He chose a site on the bank of the River Ganga and fortified. 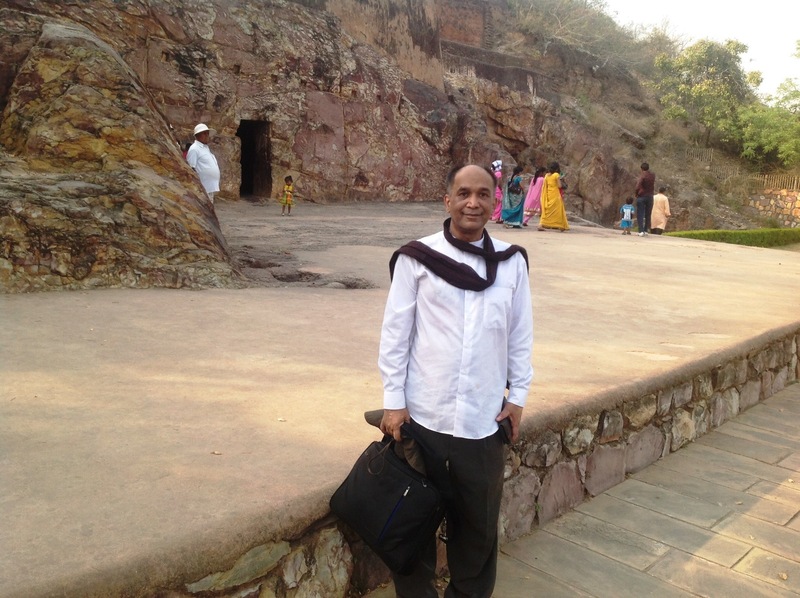 The Second Buddhist council was held here in 250 BCE under the patronage of Emperor Asoka. 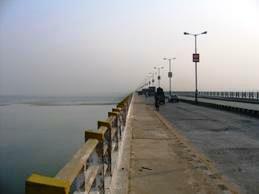 To reach Patna, I had been crossed Mahatma Gandhi Setu, the longest river bridge in India (18, 291 ft). 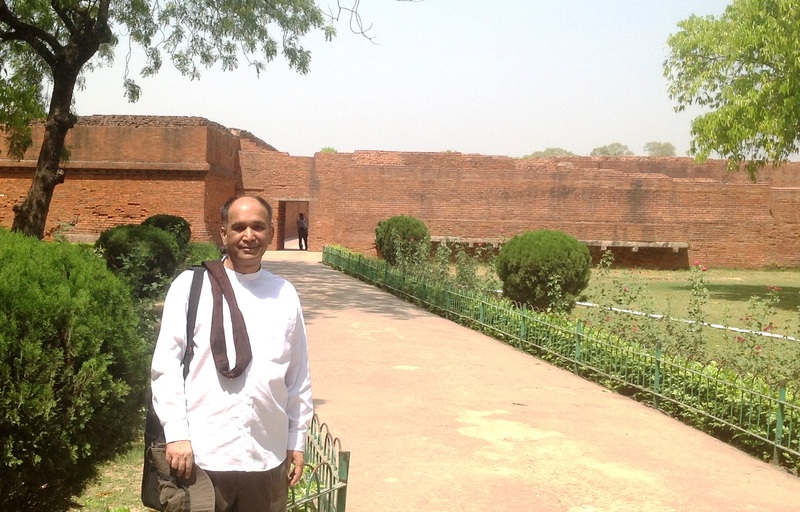 Since my very young days, I had some fascination about Ancient Nalanda University, and finally I get a chance to reach here. 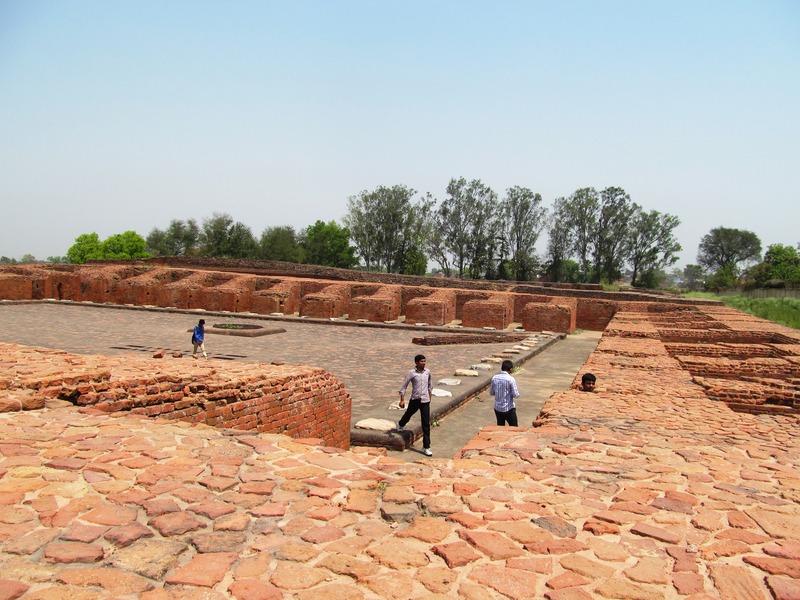 Nalanda University was established during the reign of king Sakraditya, in 5th century A.D. First great university in recorded history and world’s first residential university as it had dormitories for students. It accommodated over 10,000 students and 2,000 teachers. Students from faraway countries came here to learn religion, history, law, linguistics, medicine, architecture, metallurgy, sculpture, astronomy, etc. 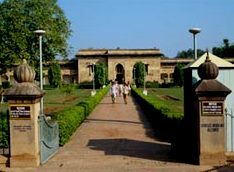 It had a lofty wall and one gate, 8 separate compounds and 10 temples, along with many meditation halls and classrooms. Library was located in a 9 storied building. 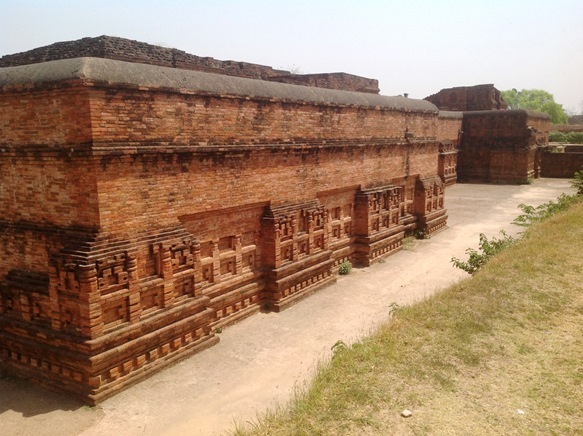 AESTHETICS BEAUTY IN THE CAMPUS Ancient Nalanda University was considered as an architectural masterpiece, and evidences of art and cultural beauty are still vividly remained. 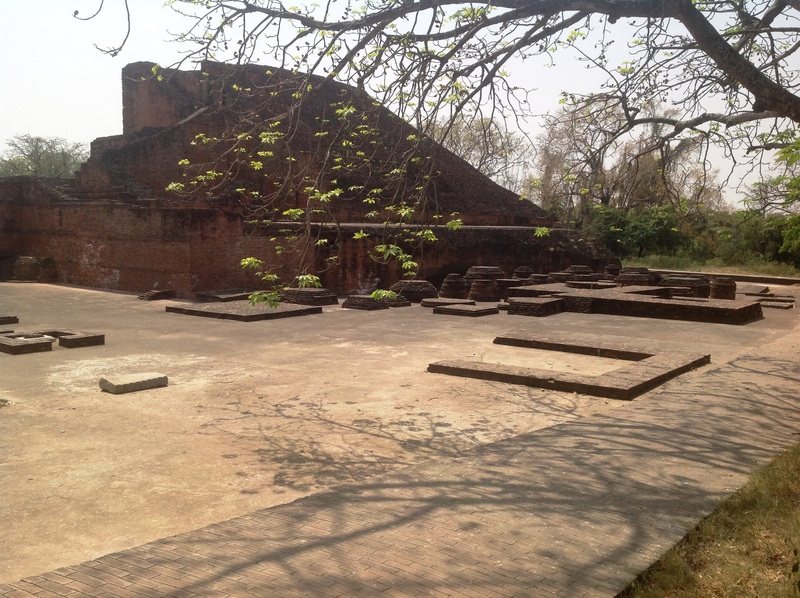 Established in 1917 houses the antiquities mainly those excavated from Nalanda, display in the 4 galleries. 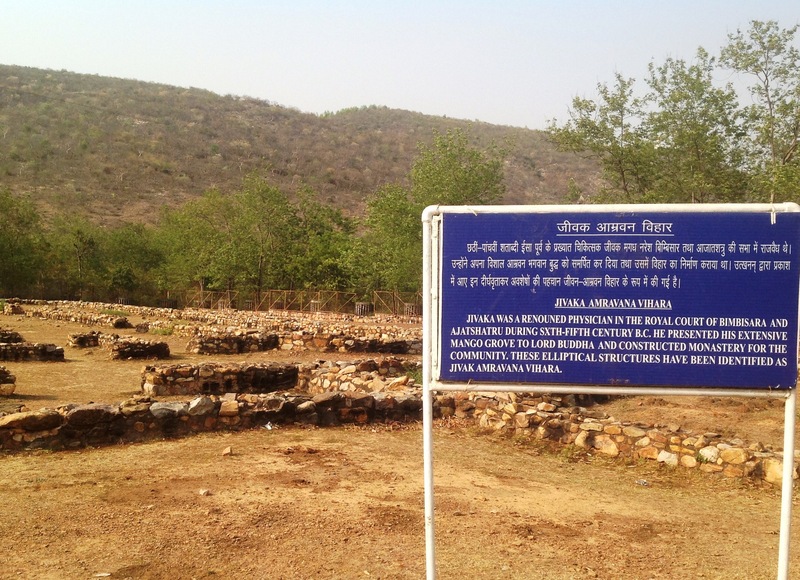 Antiquities from Nalanda dated from 5th to 12th century AD but some from Rajgir (Yar-Za-Gyo) are a little earlier in date. 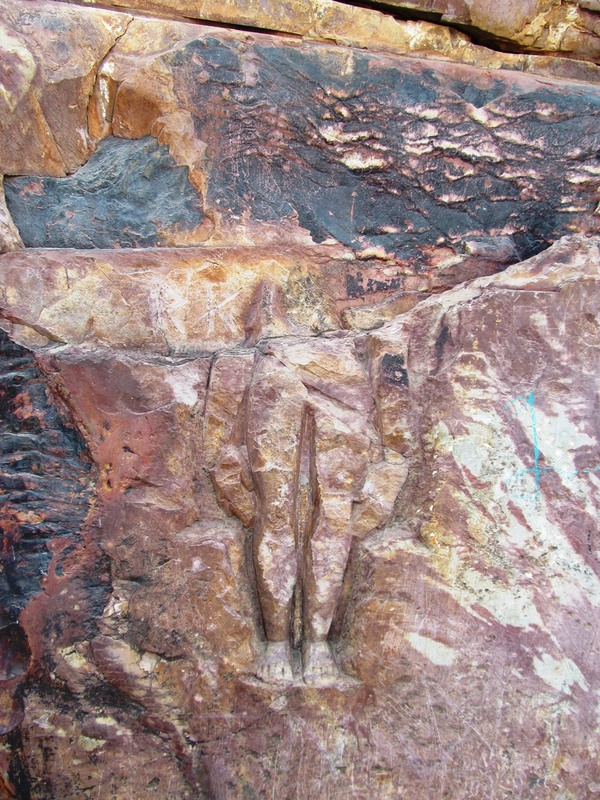 Sculptures are made of stone, bronzes, stucco and terracotta but majority been carved on Basalt stone. 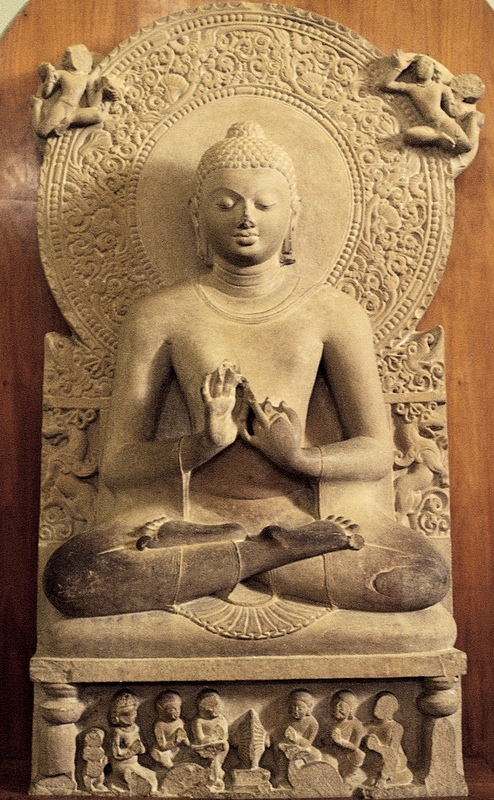 Most images are of Buddhism but some of Jaina and Hindu also exhibited. Just outside the ancient university wall, there is a large and fine Buddha image of black granite, miraculously remained intact by sacking of old days. 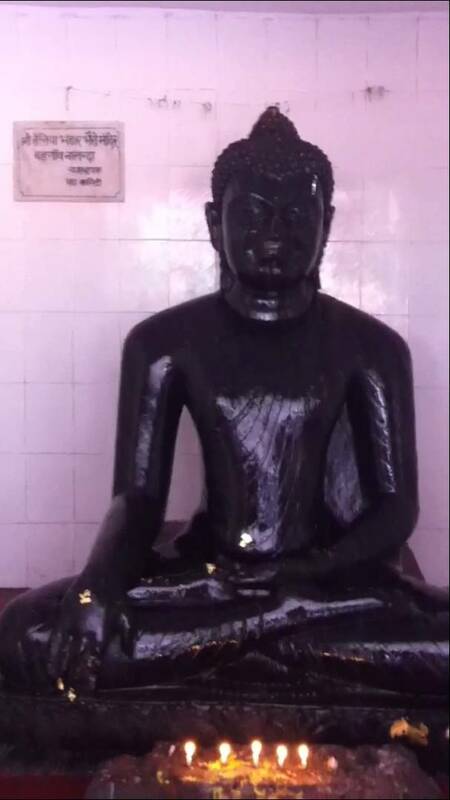 Commonly called BLACK BUDDHA, some local people named it Teliya Baba (Upon which one pours oil). 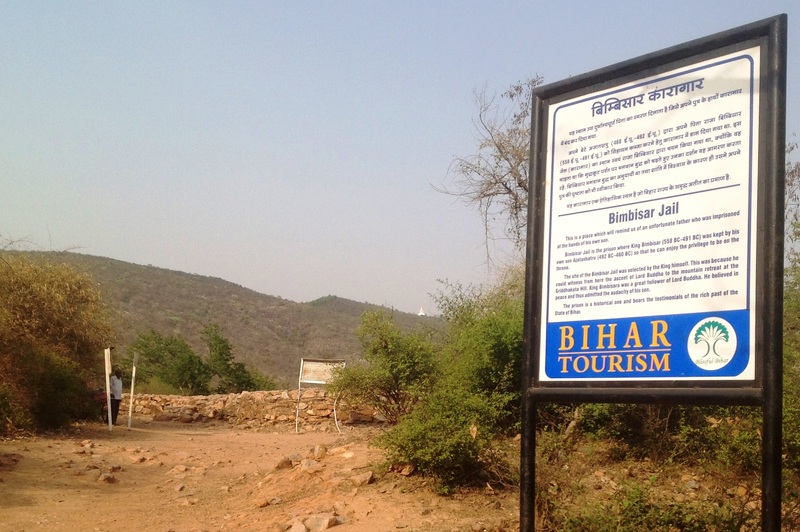 My next destination is to Rajgir (Yar-Za-Gyo) only about 17 Km from Nalanda. 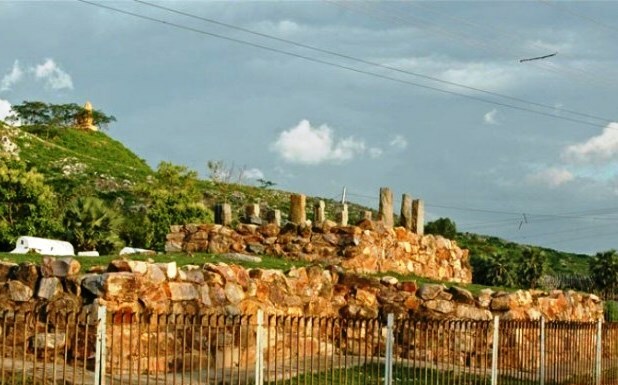 Rajgir was first capital of kingdom of Magadha, until 5th century BC when Ajatashatru moved to Pataliputra. 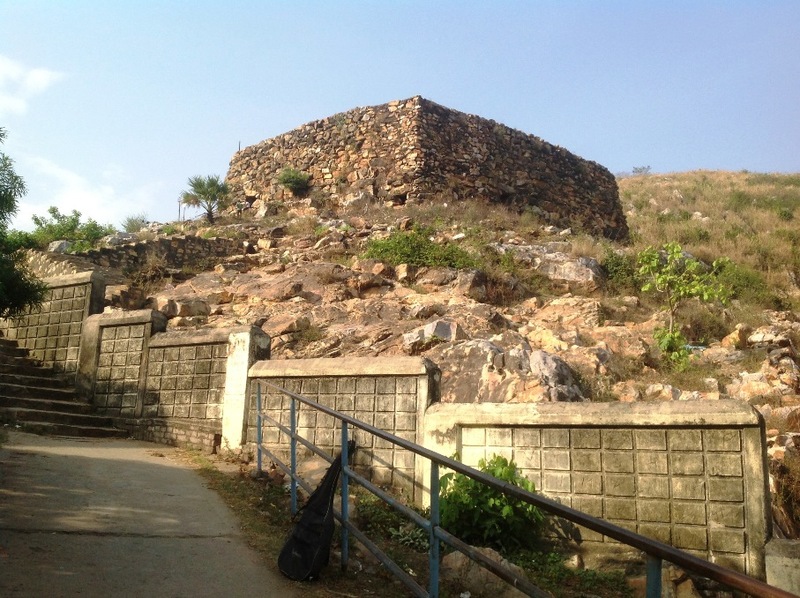 Fortified city was surrounded by seven hills (Chhatha, Ratna, Saila, Sona, Udaya, Vaibhara and Vipula). 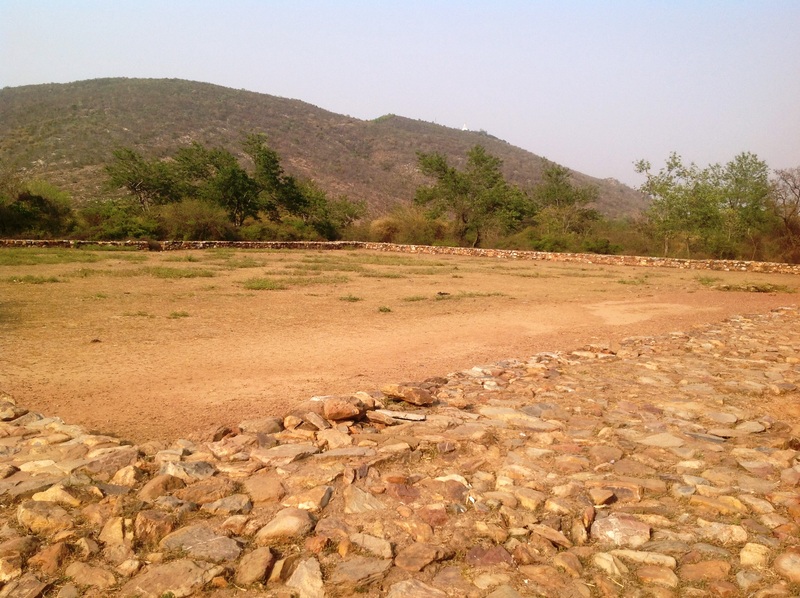 Lord Buddha spent many years in Rajgir (Yar-Za-Gyo) meditating, and for preaching to King Bimbisara, followers and people. 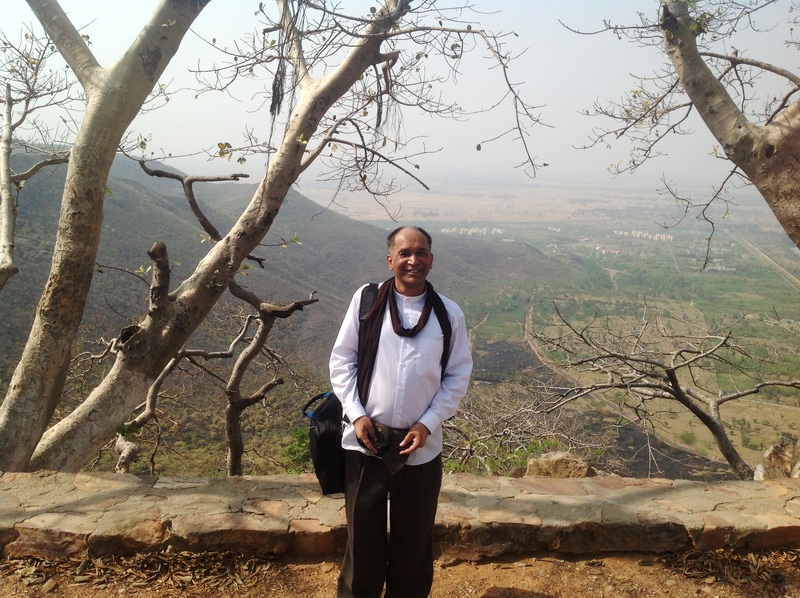 By enjoying “Ropeways” I reach to Vishwa Shanti (World Peace) stupa and monasteries built by the Japanese Devotees on top of the 400 meter high Ratnagiri hills. Panoramic views are splendid over there. 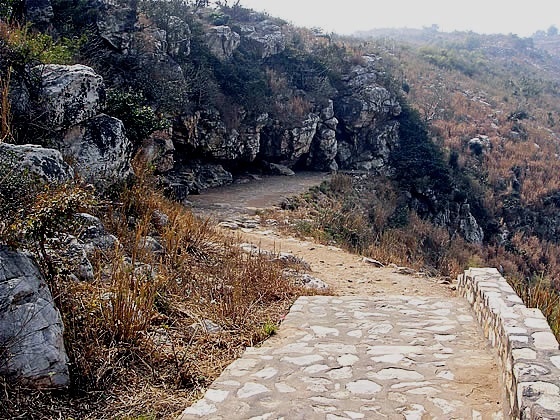 Gridhrakuta, (Hill of the Vultures) was the place where Lord Buddha set in a motion his 2nd wheel of law for three months even during the rainy season, preached inspiring sermon “Atanatiya Sutta” to his disciples. 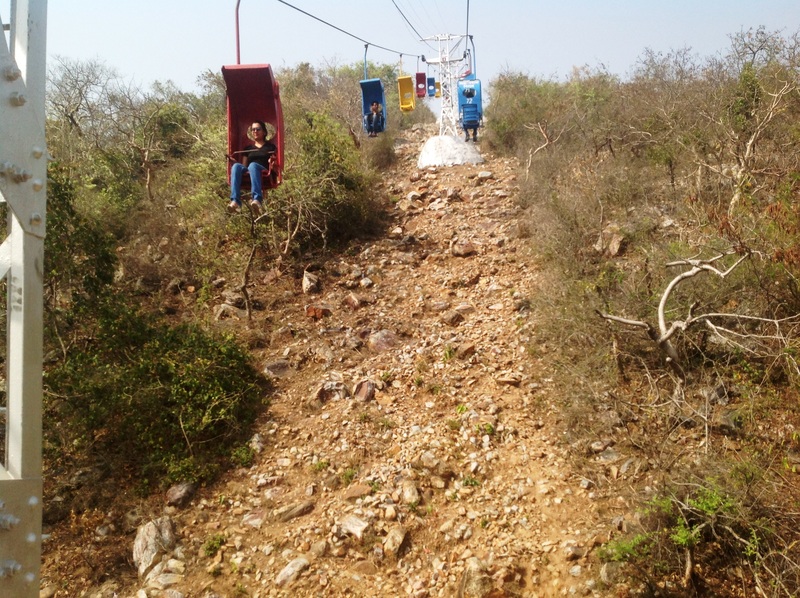 It is difficult to reach there by walk, descending and ascending from Ratnagiri hilltop, especially under the heat of summer’s sunshine. 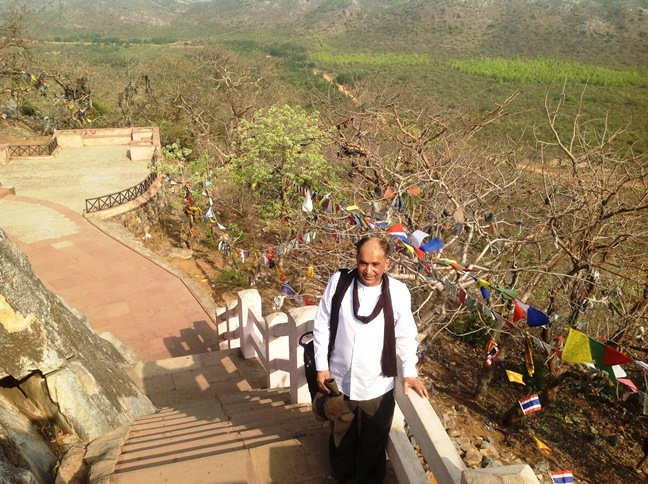 But I feel great once reaching the summit as feeling that Lord Buddha and his disciples stayed here 2600 years ago. 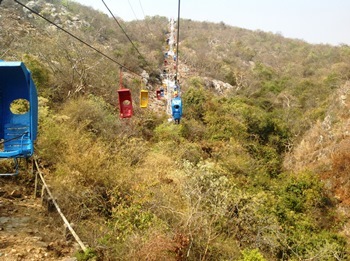 2 small Ananda Caves are below this peak. 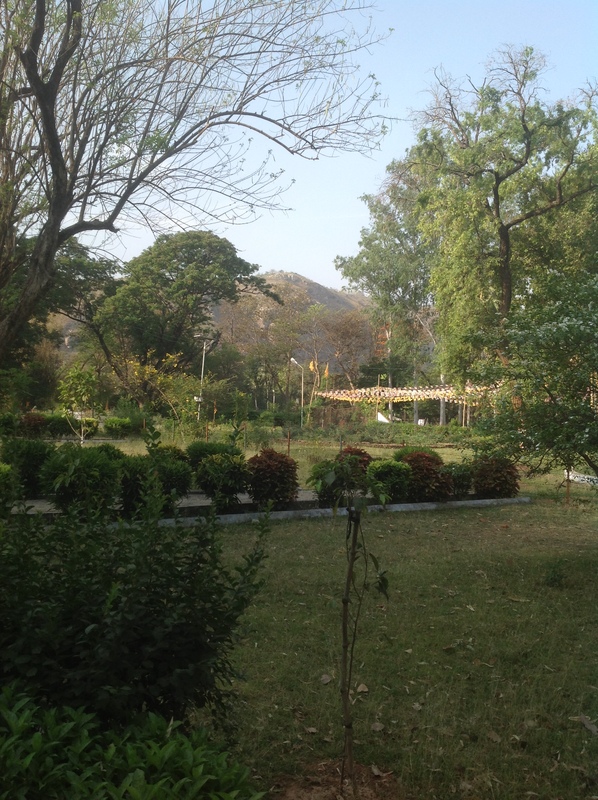 This garden is the King Bimbisara’s offering for Lord Buddha to reside, also the first Buddhist Monastery ever. Tranquillity and feeling of peace still existed in this serene environment. According to the Buddhawan (Life story of Lord Buddha) this was the favourite place of Lord and many remarkable happenings were taken place here. 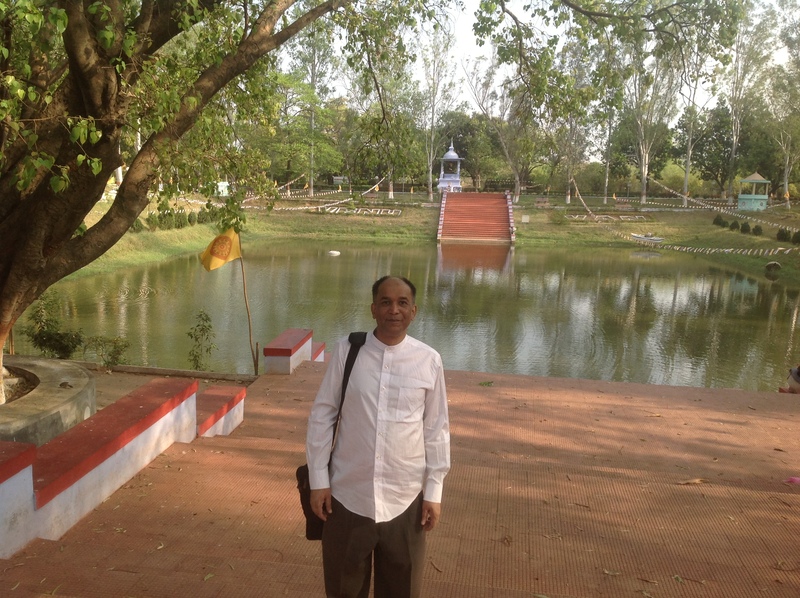 The Karandak Kanivapa lake in this park was where Lord Buddha went to bathe regularly. Seat of Physician’s dispensary where Lord Buddha was once brought for wound dressed by Jivaka, after injured by his cousin Devdatta. 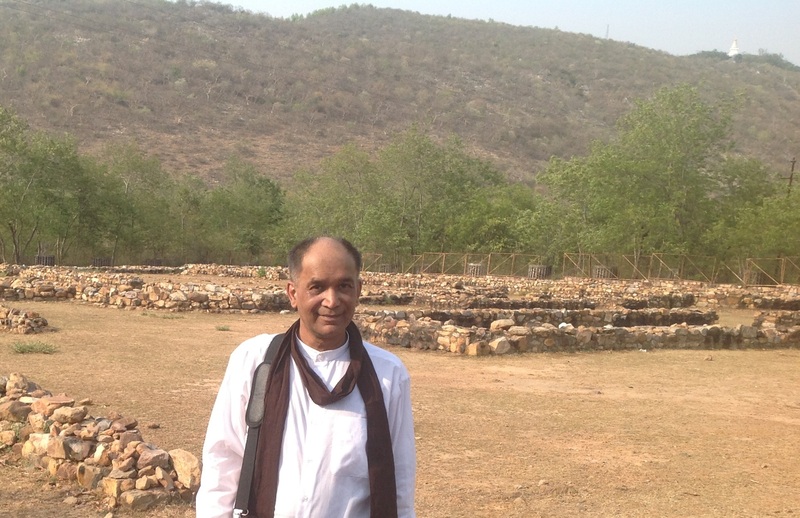 Jivaka afterward donated this mangoes garden to Lord Buddha and built a monastery for community. 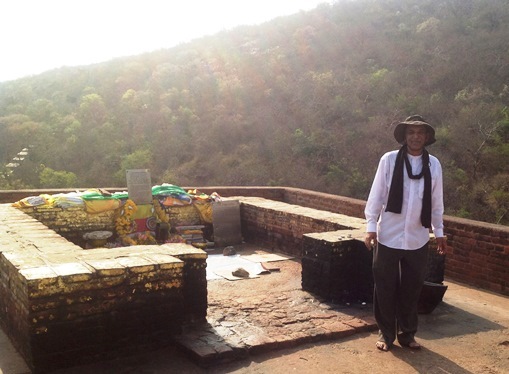 This is where Ajatashatru kept his father King Bimbsara in captivitiy. 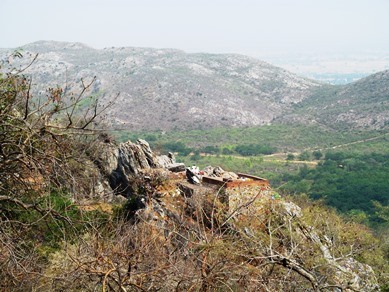 Captive king chose this site for his incarceration, because from this spot he could see Lord Buddha climbing up to his mountain retreat atop the Griddhakuta. 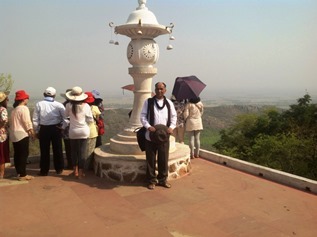 There is also clear view to the stupa of peace on the top of Ratnagiri. 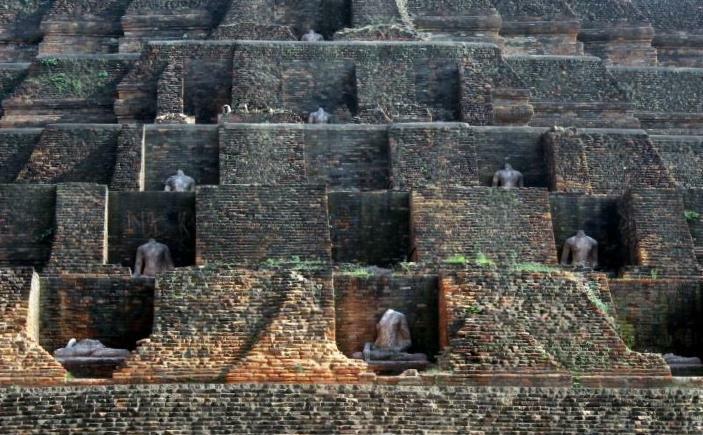 Built by Ajatshatru (6th century B.C) the king of Magadha during Buddha’s time. Very strange 2 cave chambers, which were dig out of a massive rock cliff. In first chamber, the wall has 2 straight vertical lines and one horizontal line cut into the rock. 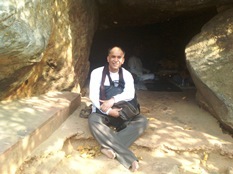 The doorway is supposed to lead to king Bimbisara Treasury, which probably kept for future Buddha. Inscriptions etched as codes on the wall, clue to open the doorway, are so far un-deciphered, so no one knows the secret meanings. The second chamber bears a few traces of seated and standing images. 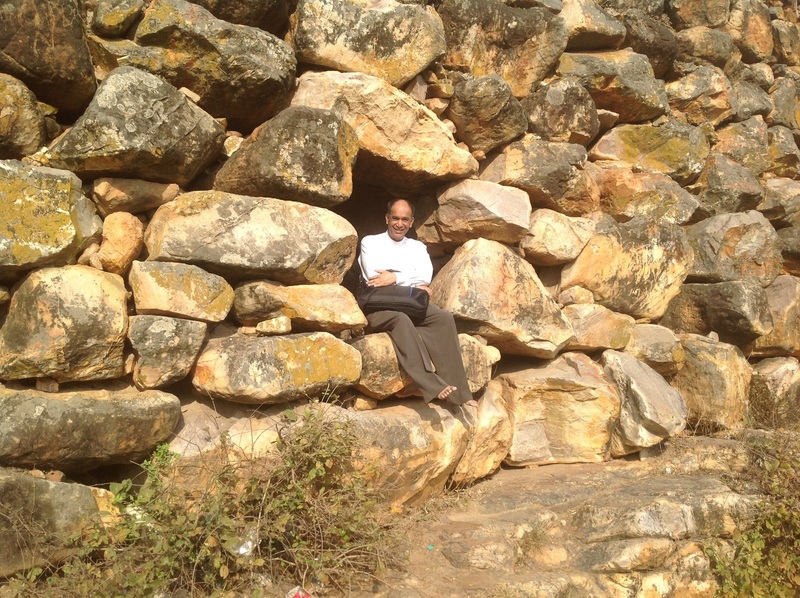 A rectangular stone structure which appears to be used as a watch tower. The cave is named for the princess of Pippala. Later became the resort of pious hermits. Views from above is very scenic. 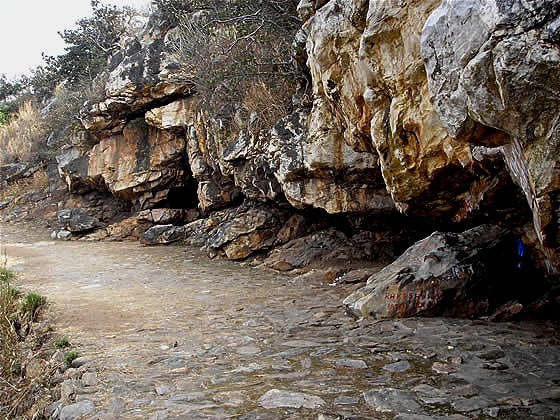 At the foot of Pippala cave, there are some bathing places organized for men and women. Water comes through spouts from Saptdhara, the 7 streams, believed their source behind “Saptparni Caves” up in the hills. 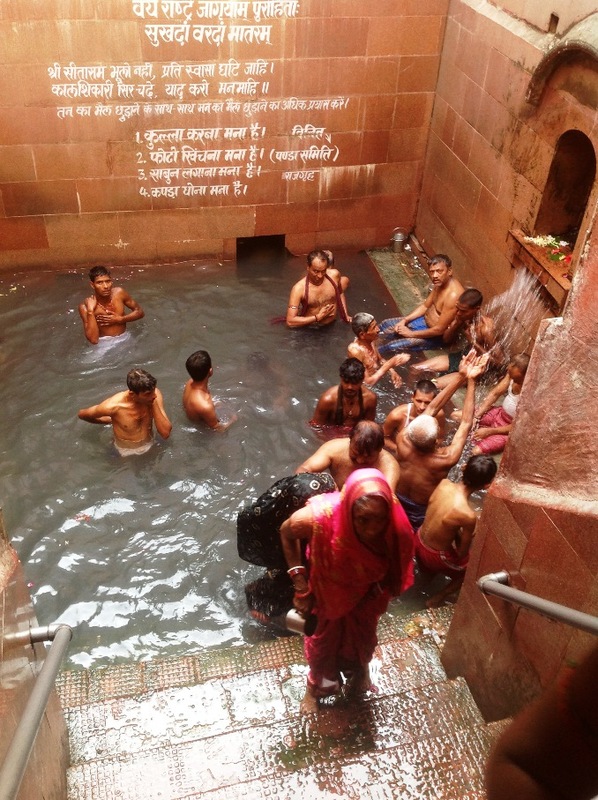 Hottest is Brahmakund with temperature 45 degree Celsius. Here the First Buddhist Council was convened under the patronage of king Ajatasatru with the guidance of Ashin Maha Kassapa, soon after Mahaparinirvana of Lord Buddha, around 400 BC. As Sangha’s approval 500 Arahants were called, Ashin Ananda was also included as he attained Arahanthood by the time the council was held. 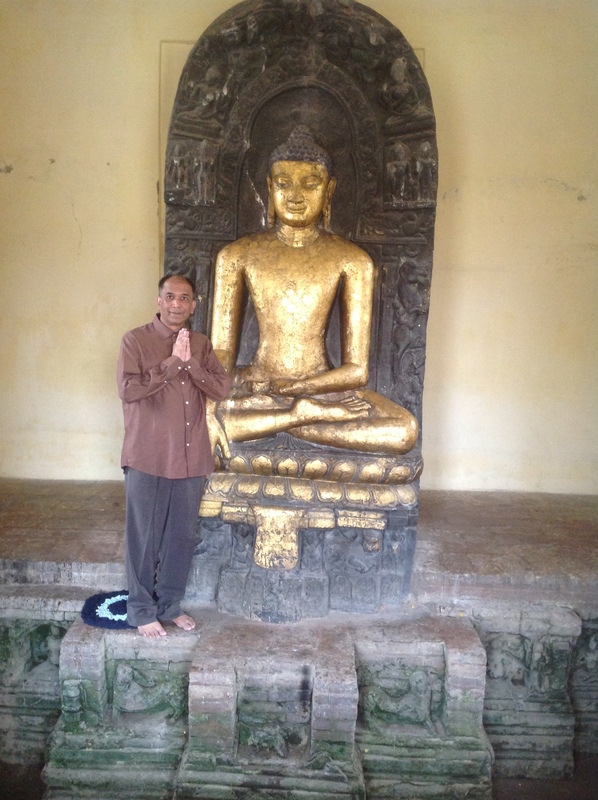 Lord Buddha’s sayings (Suttas) were recited by Ashin Ananda, and monastic disciplines (Vinaya) by Ashin Upali. 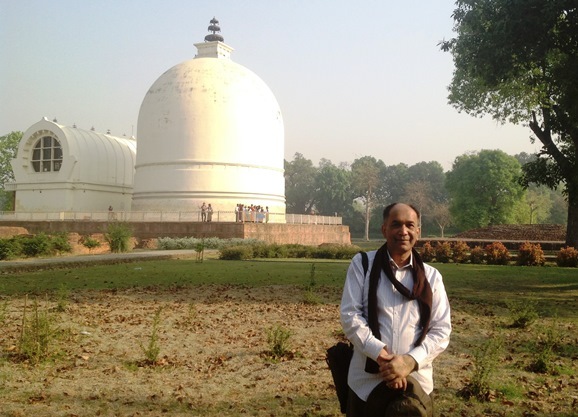 FROM BODHGAYA TO TRANSIT KOLKATA After staying 2 days in Rajgir (Yar-Za-Gyo), I came back to Bodhgaya, which is about 77 km far. 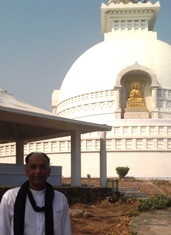 My round trip along the footprints of Lord Buddha was in some means concluded, and I feel satisfied. 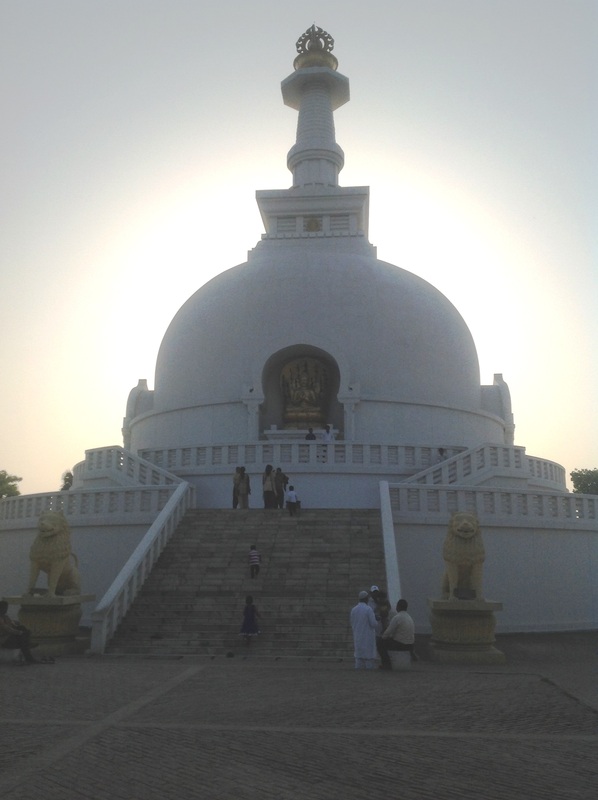 The Buddhas stupa at Kushinagar is my favourte place in northern india. Thanks for the memories. 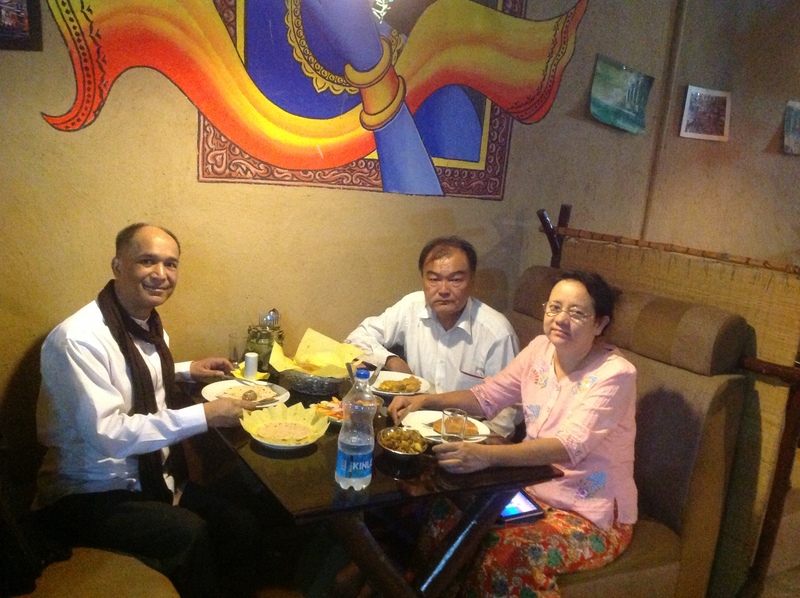 Thank you Professor Dr Naing Zaw! A wonderful article with excellent photos. It refreshes my experience there in 2010. thank you very much! Thanks Prof. Sir . . for your kind appreciation!